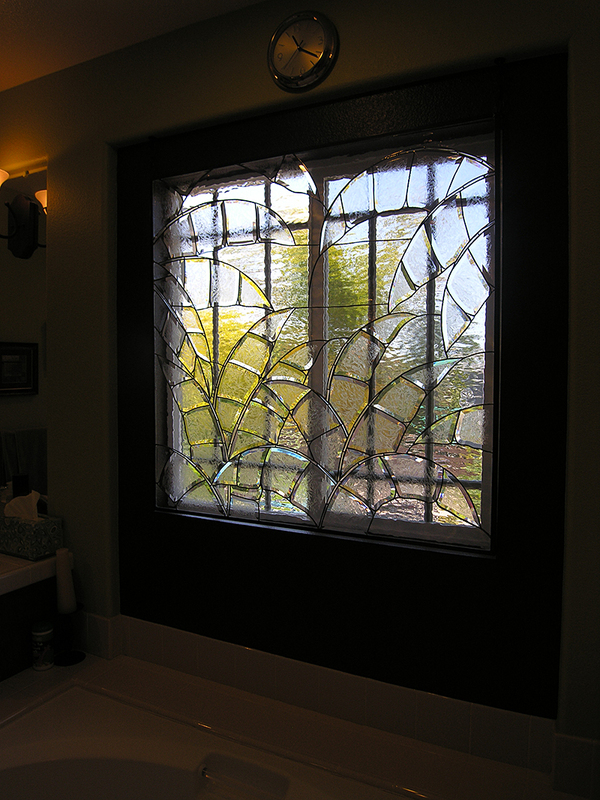 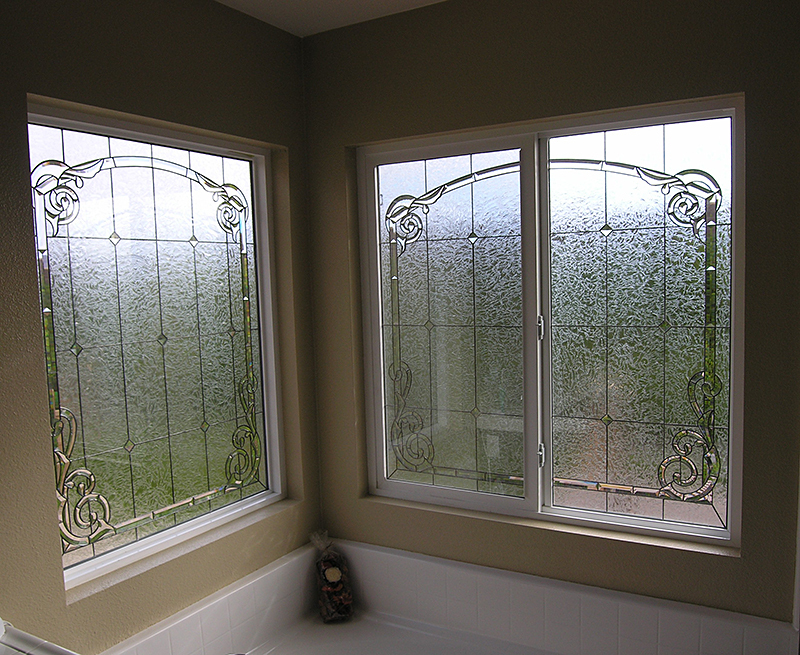 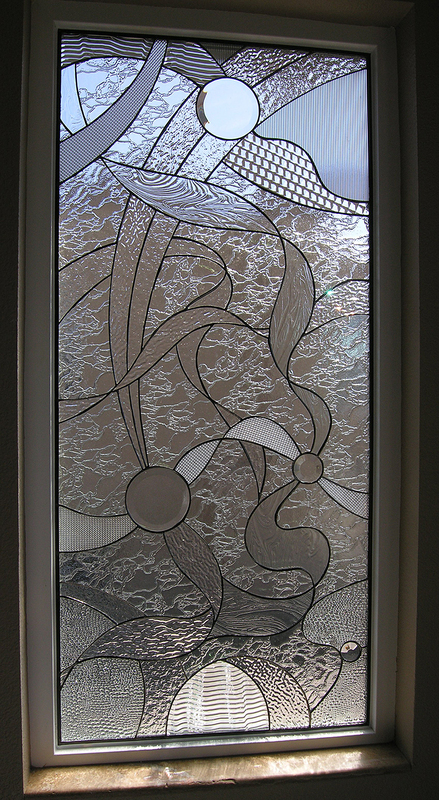 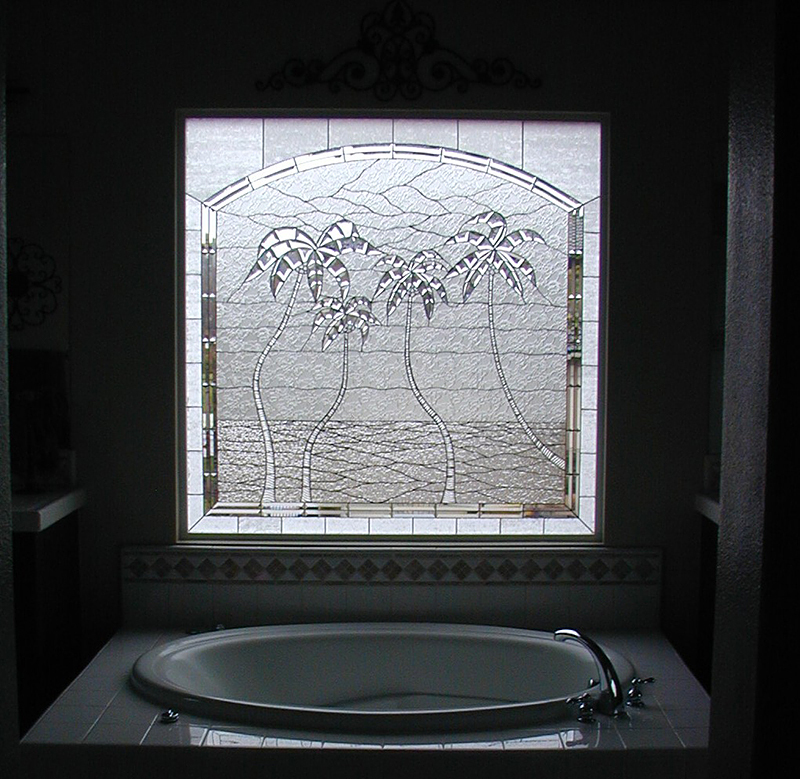 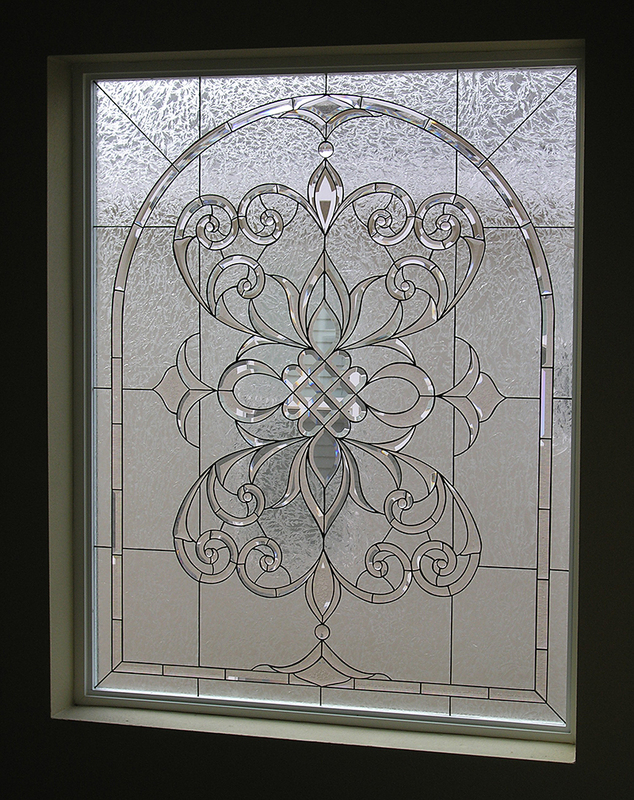 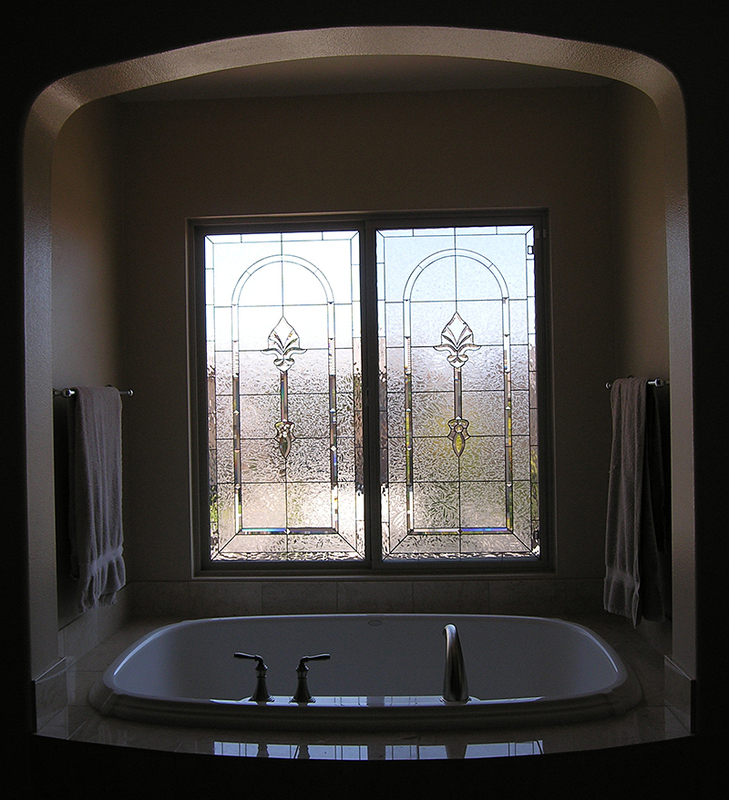 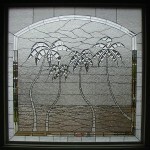 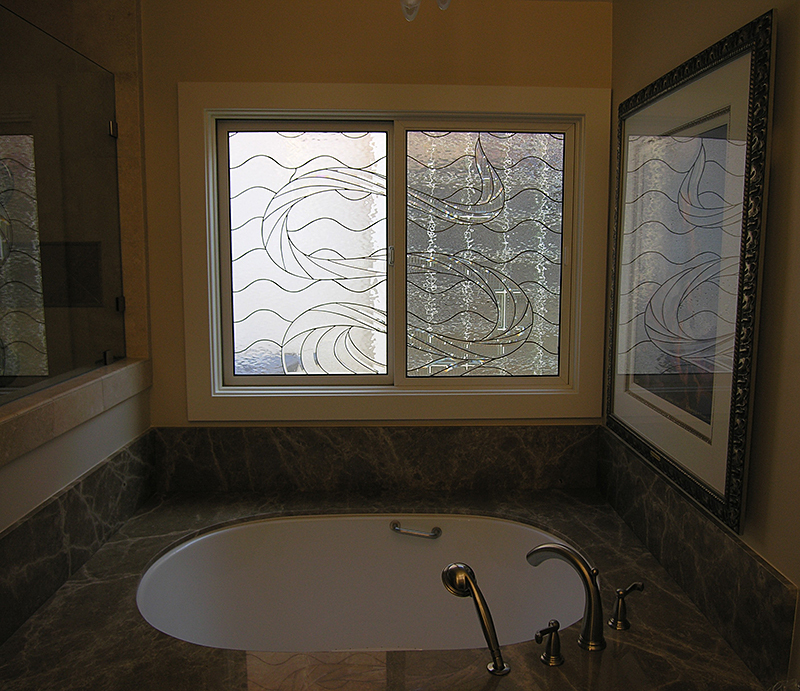 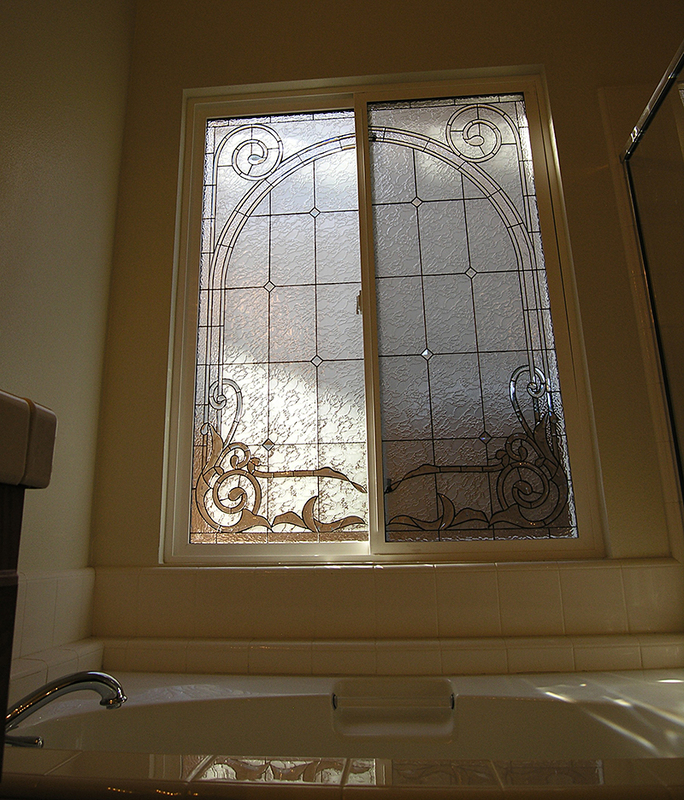 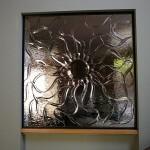 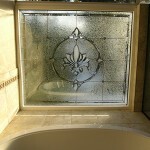 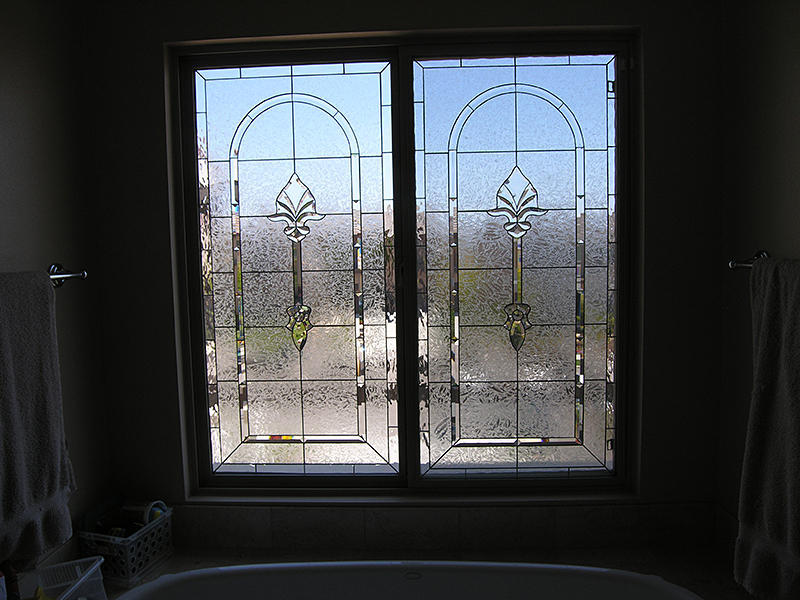 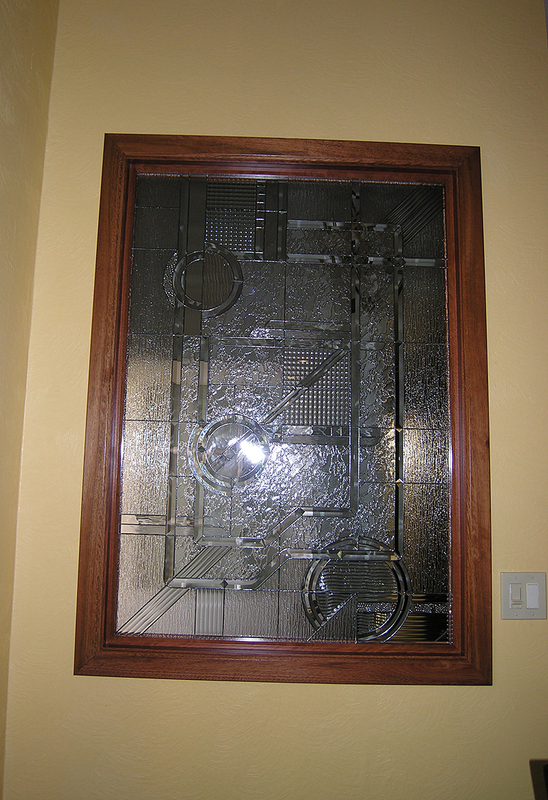 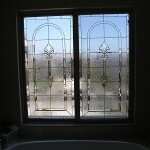 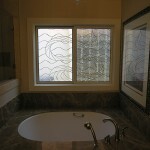 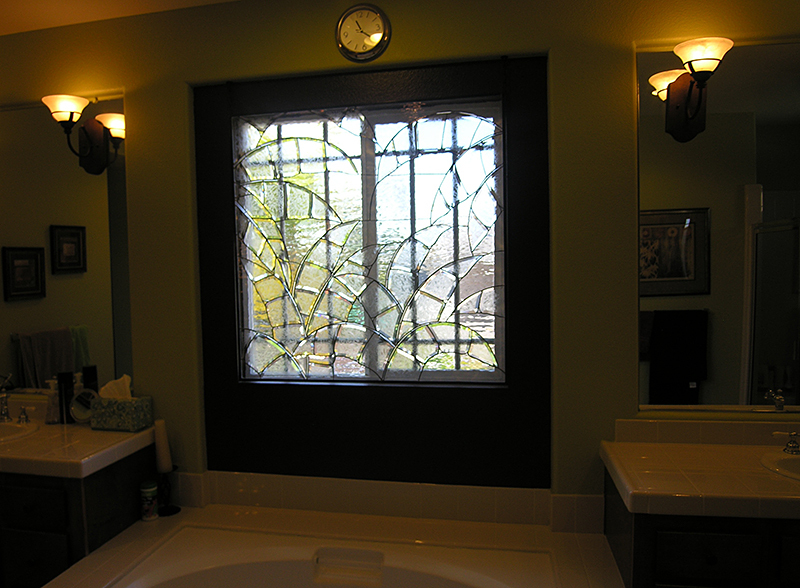 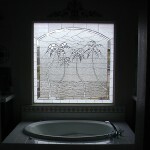 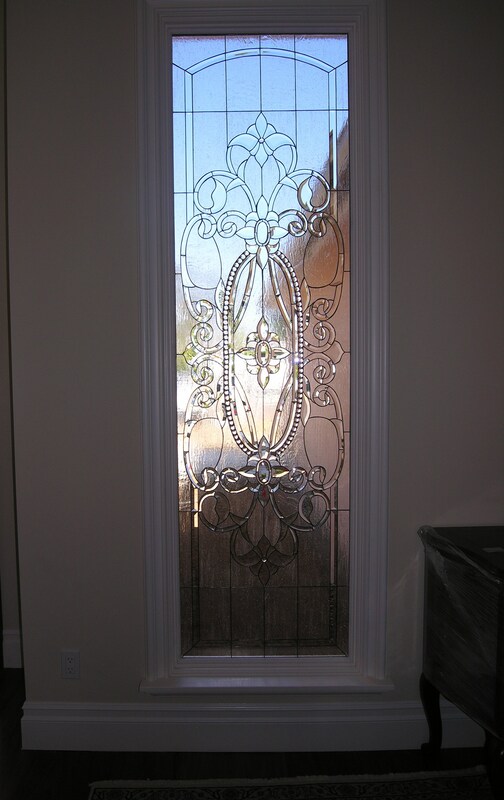 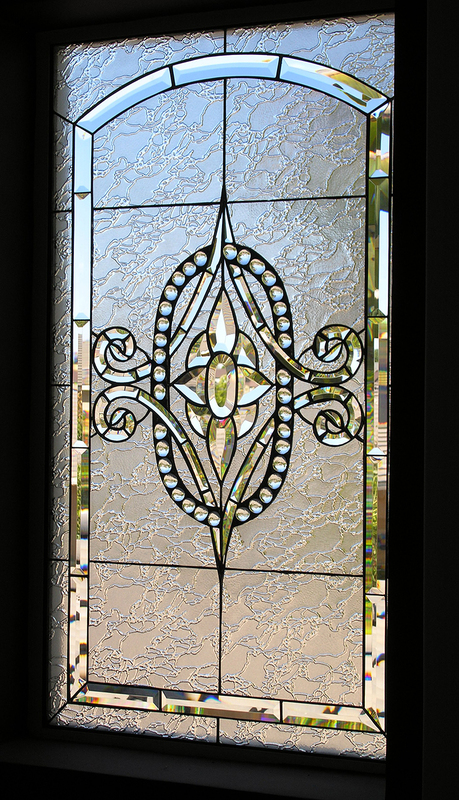 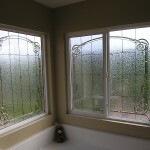 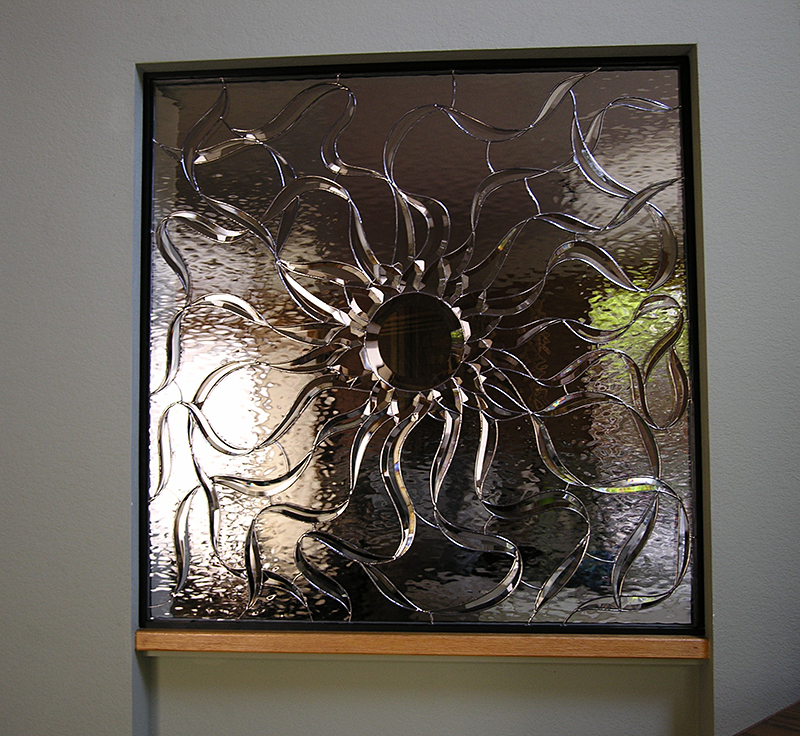 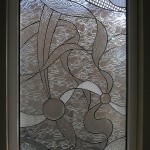 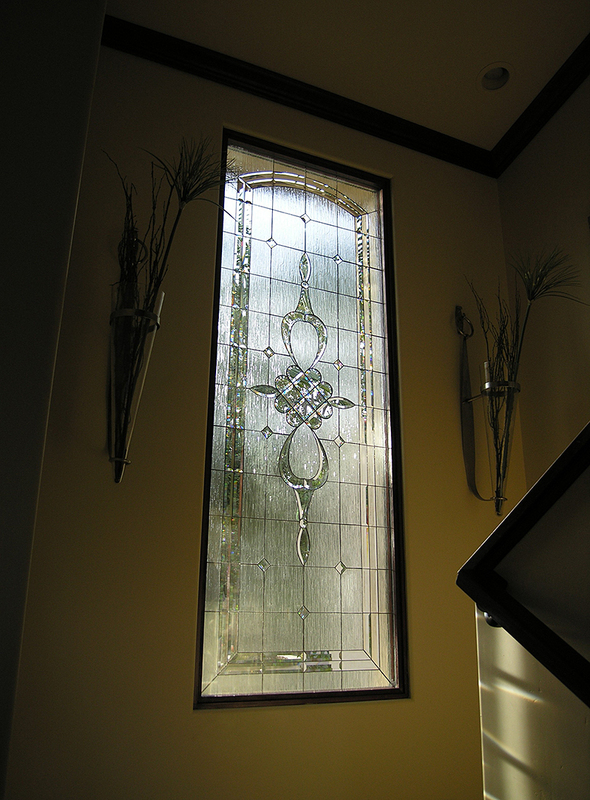 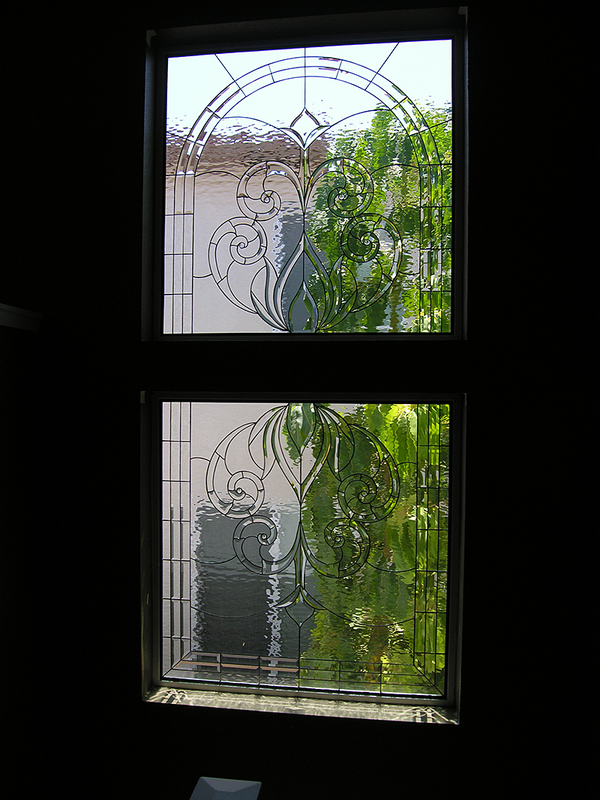 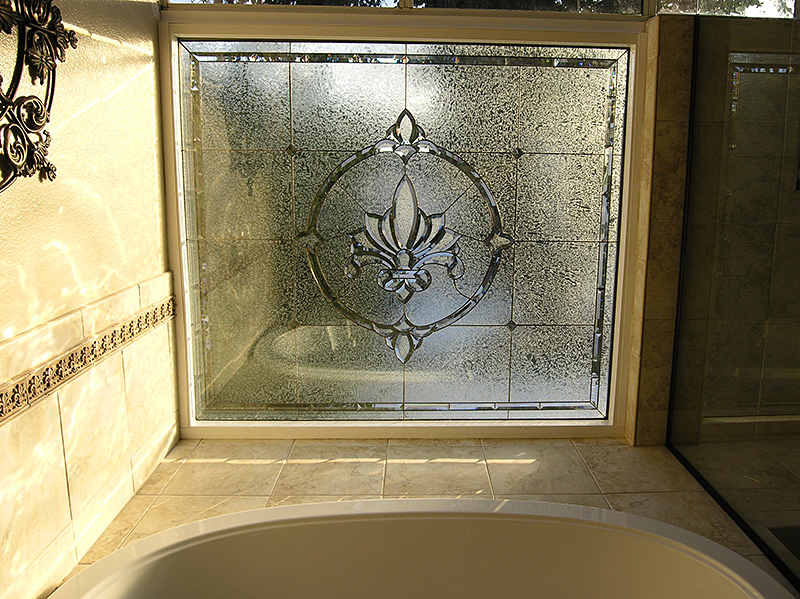 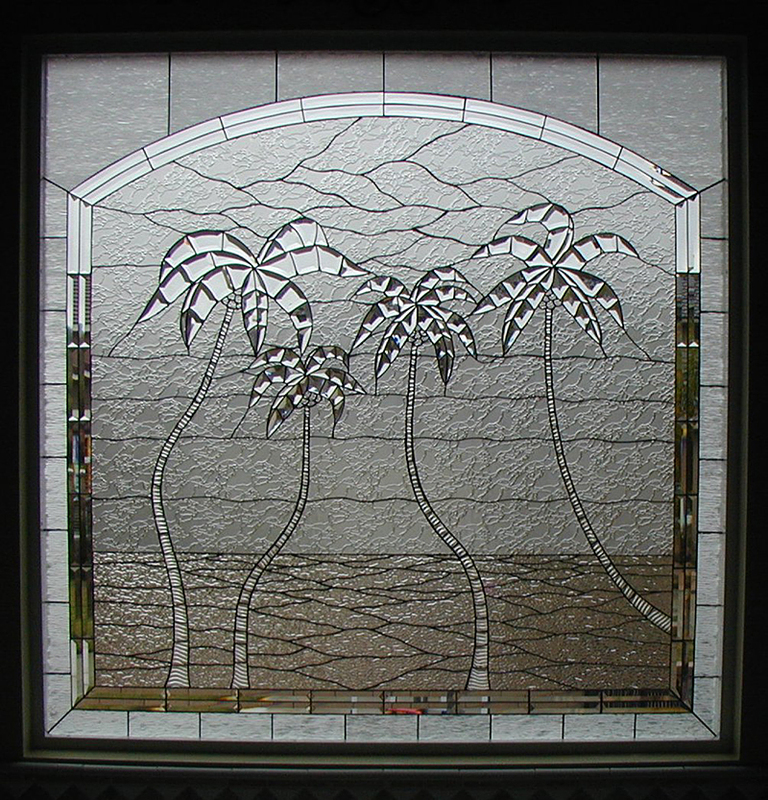 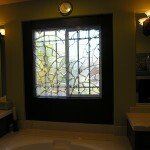 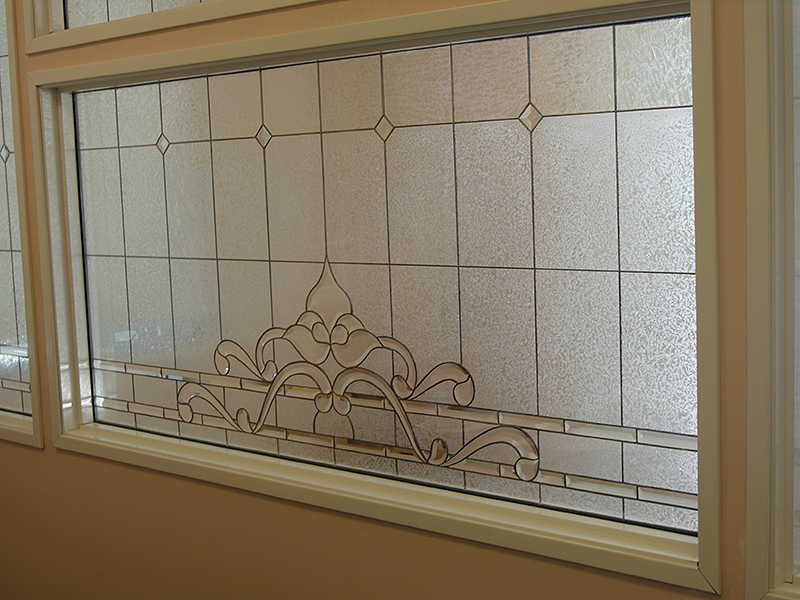 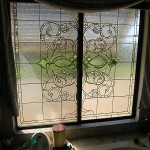 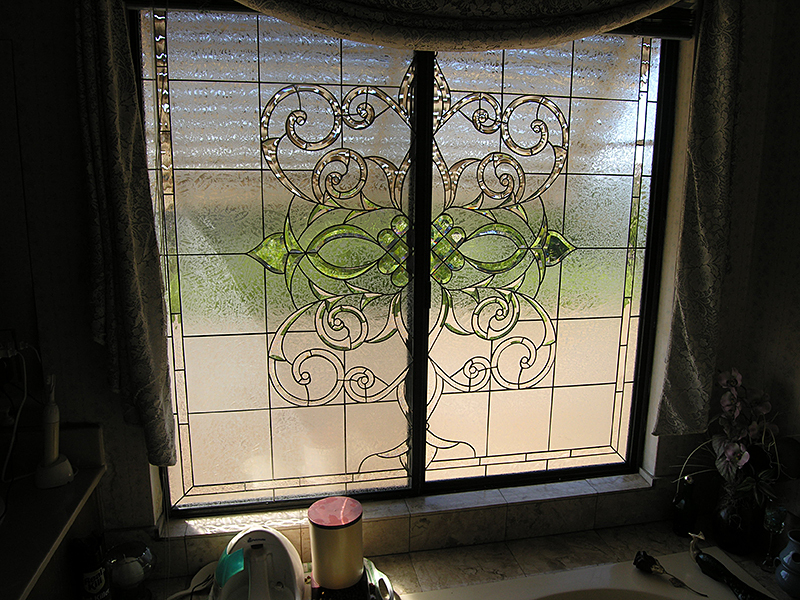 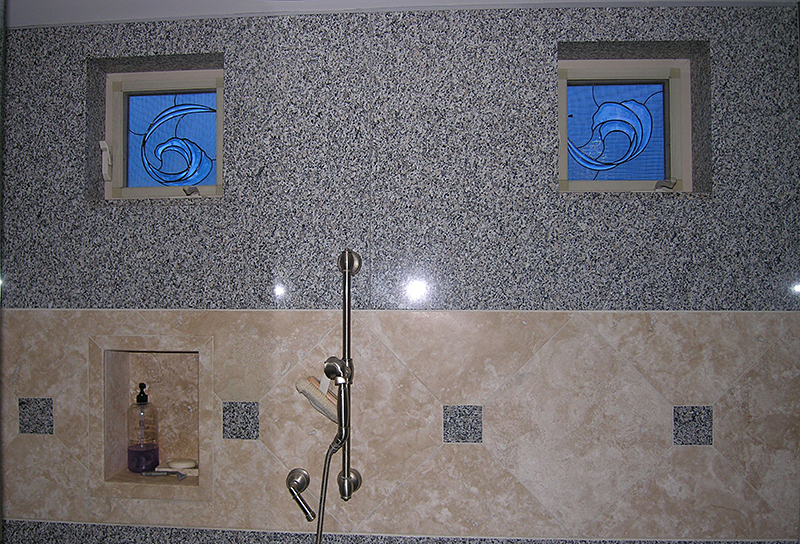 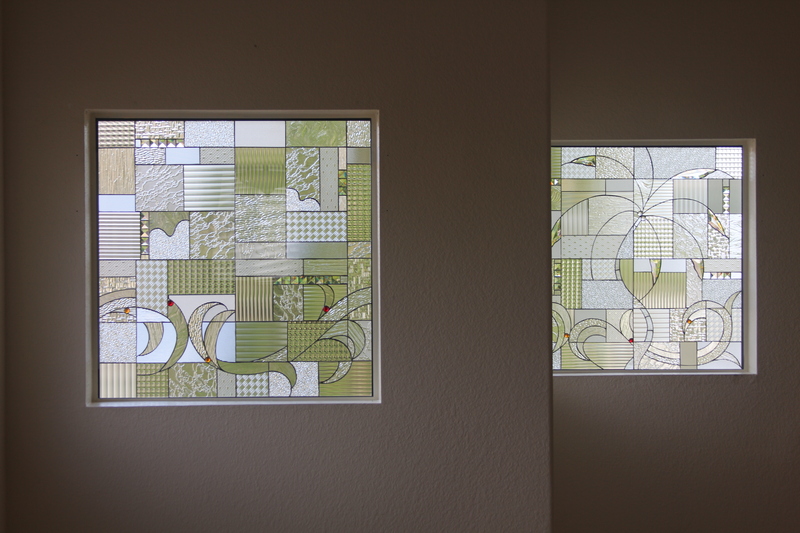 Beveled glass is an elegant and beautiful way to add privacy to a room or to add that extra special touch. 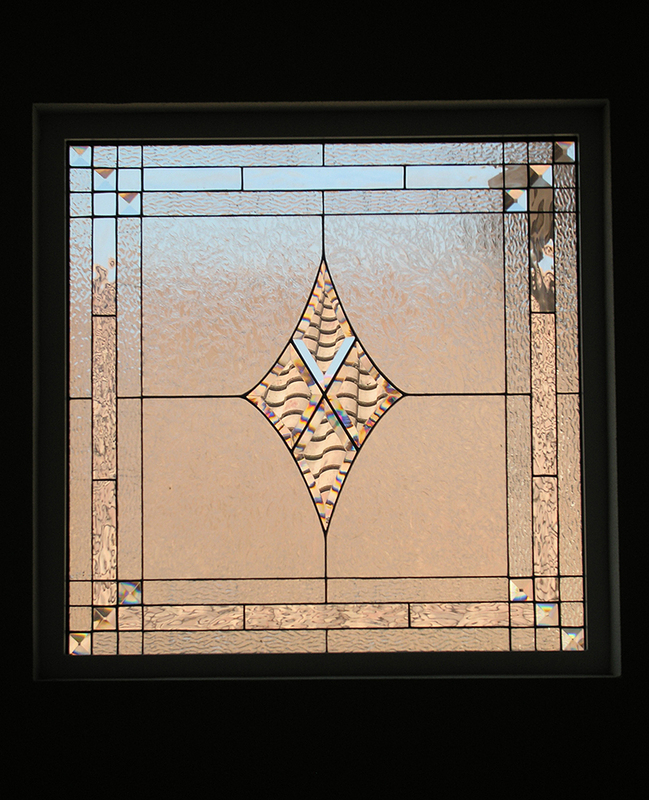 In sunlight, the bevels, or angles cut into the glass, act as prisms that create interesting light patterns and a beautiful spectrum of colors. 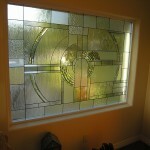 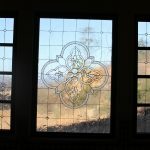 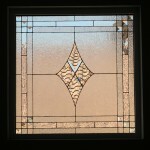 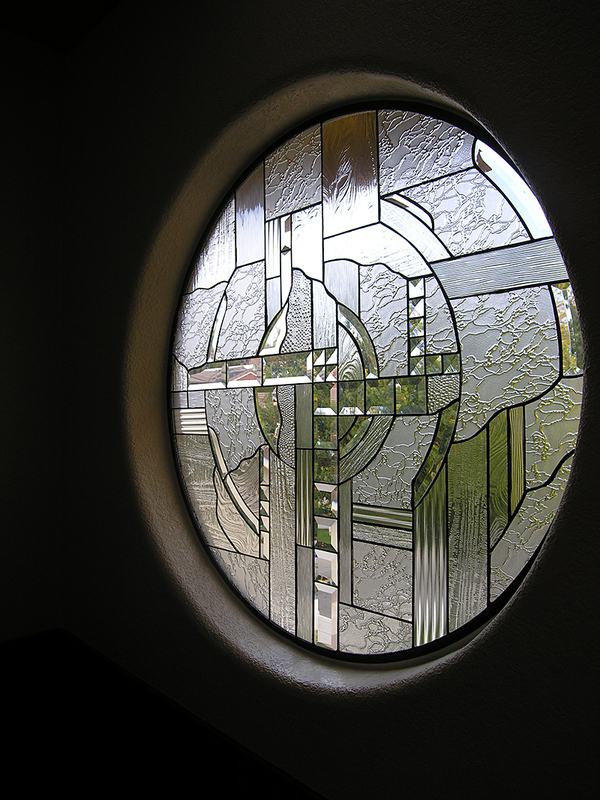 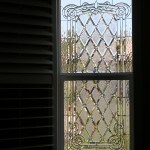 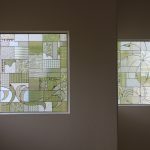 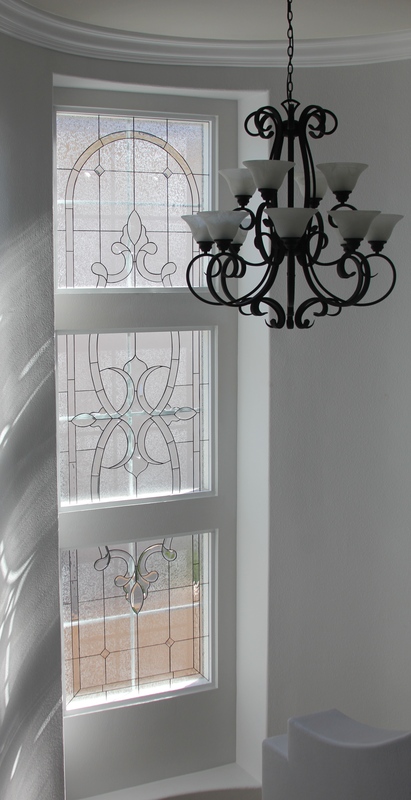 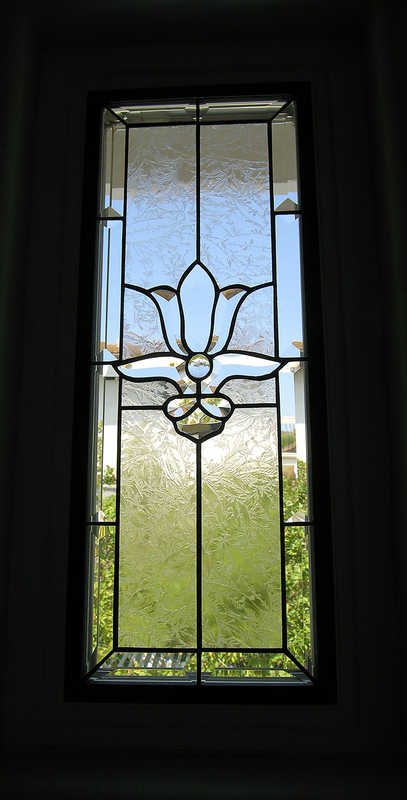 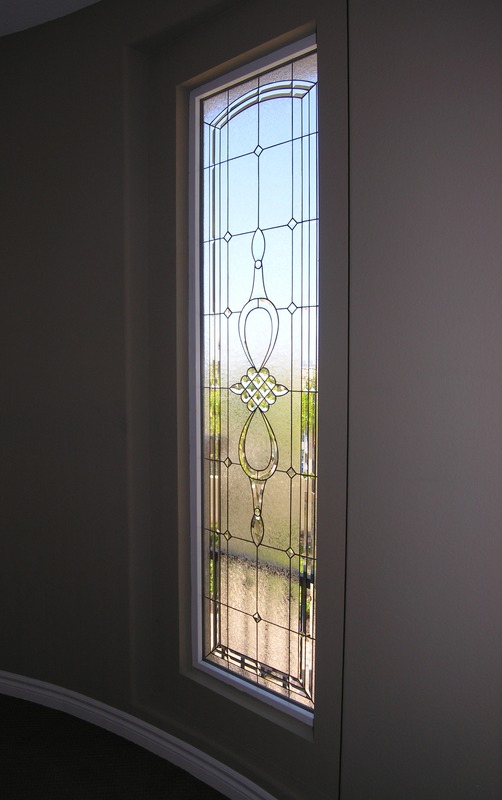 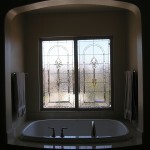 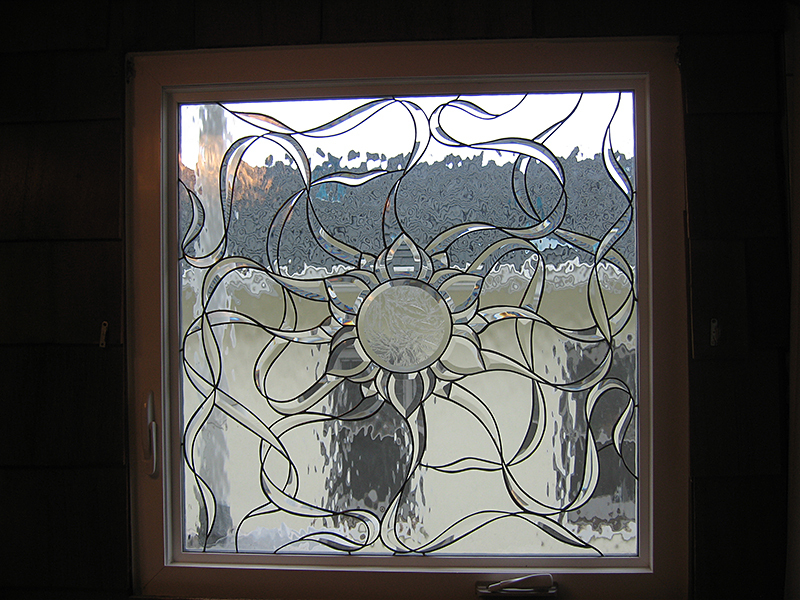 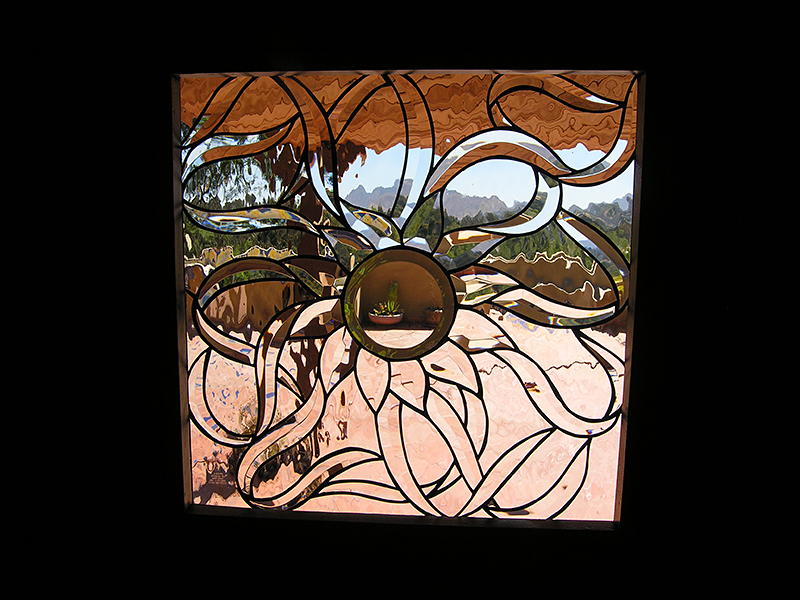 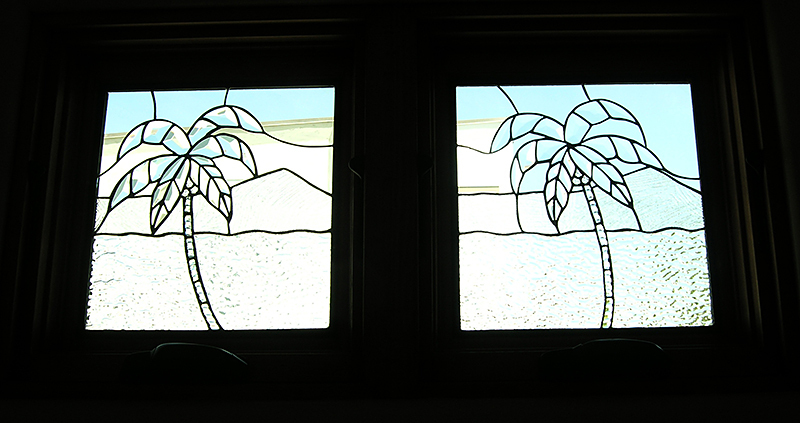 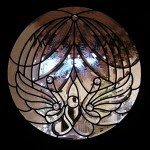 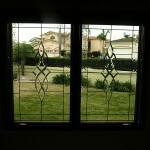 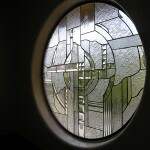 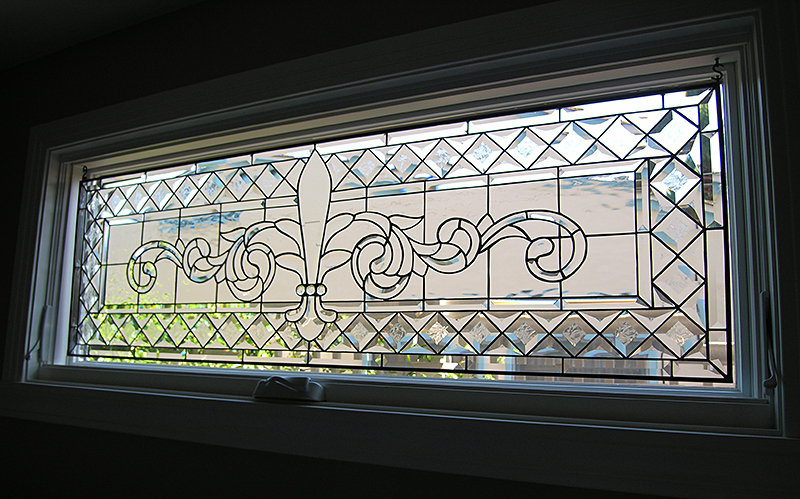 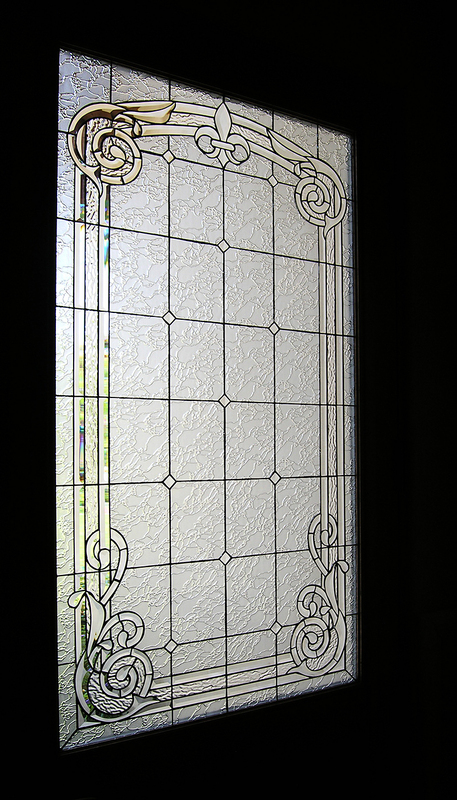 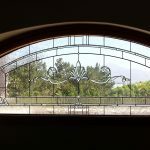 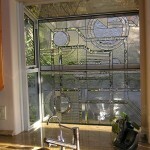 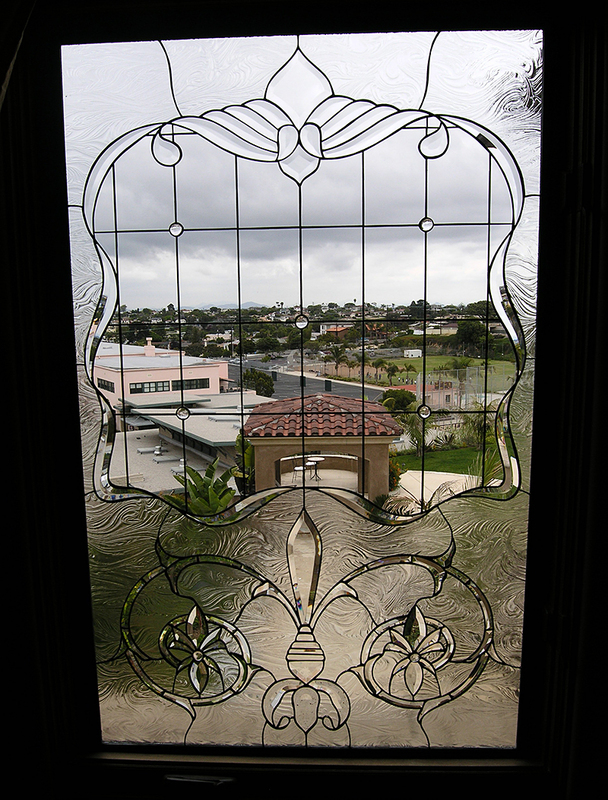 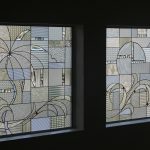 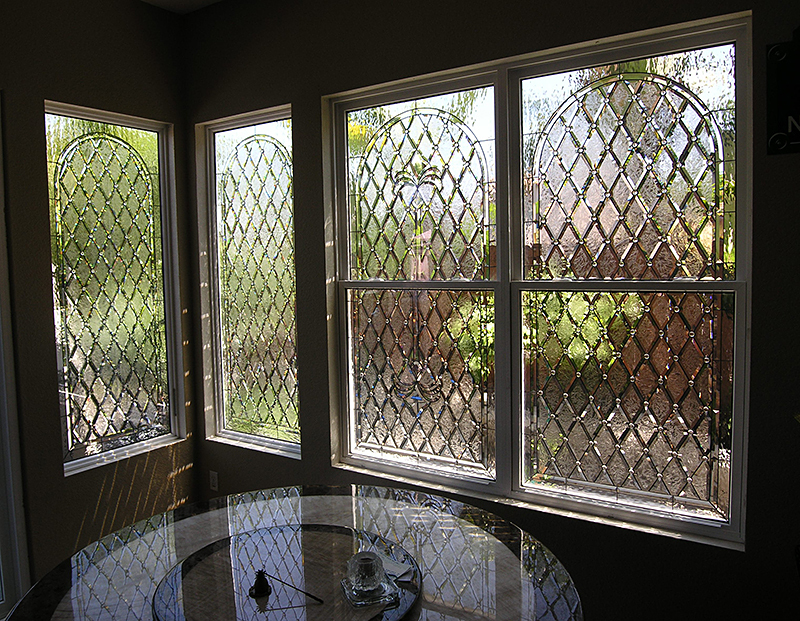 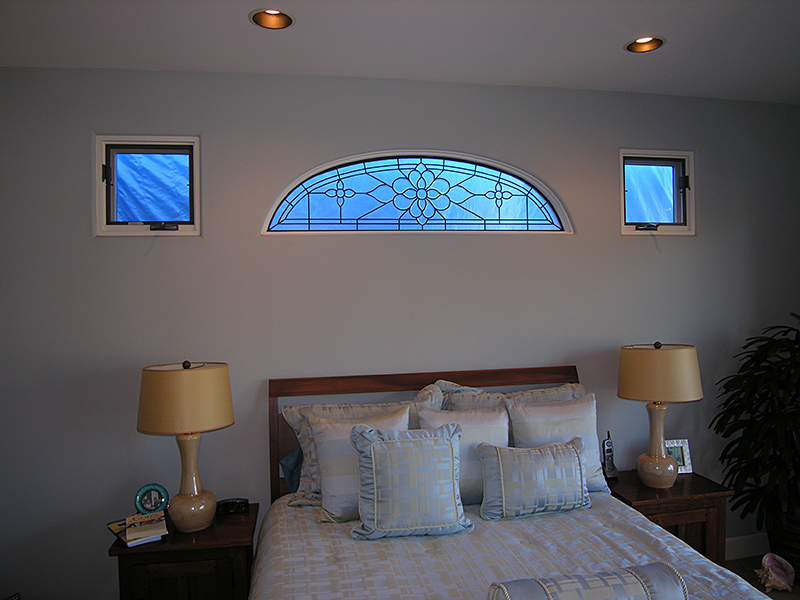 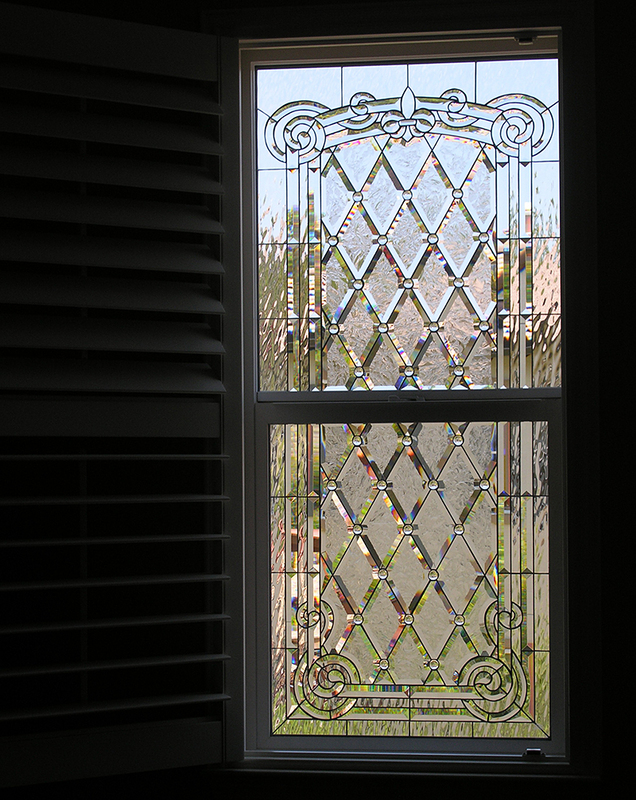 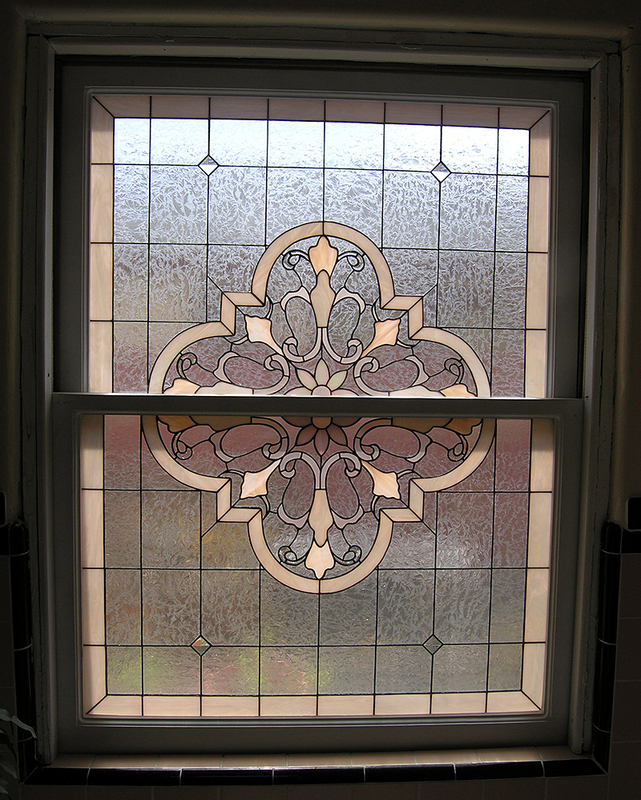 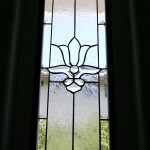 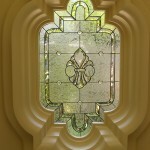 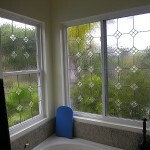 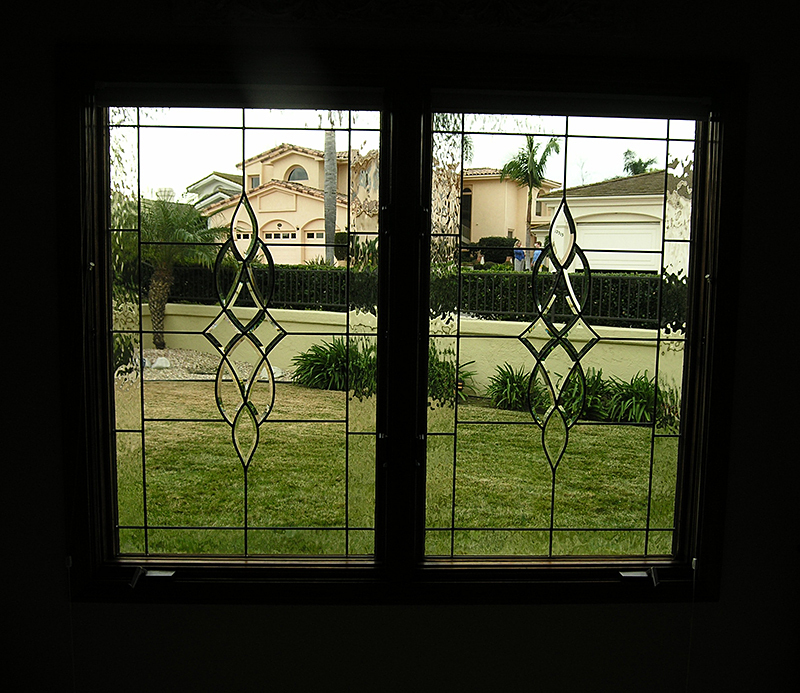 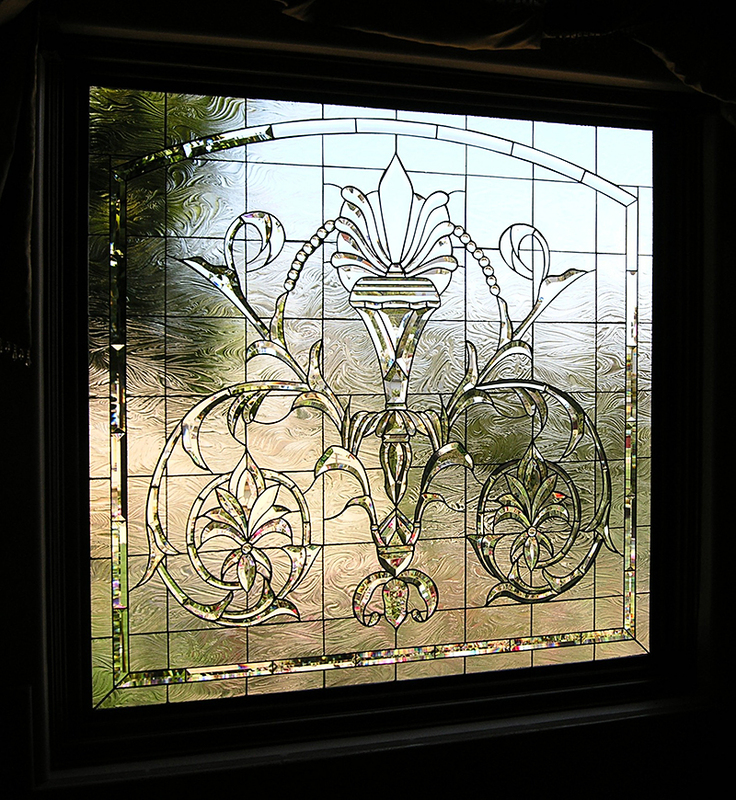 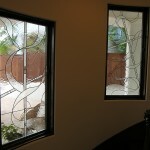 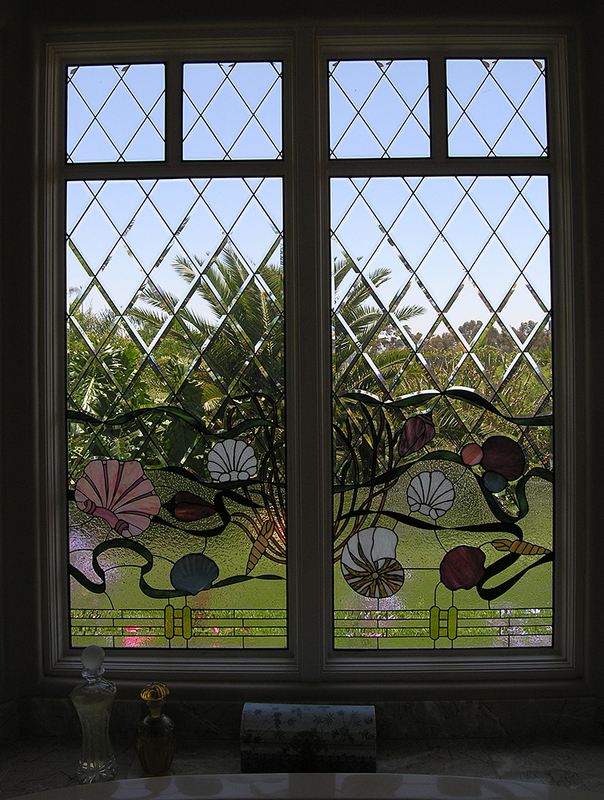 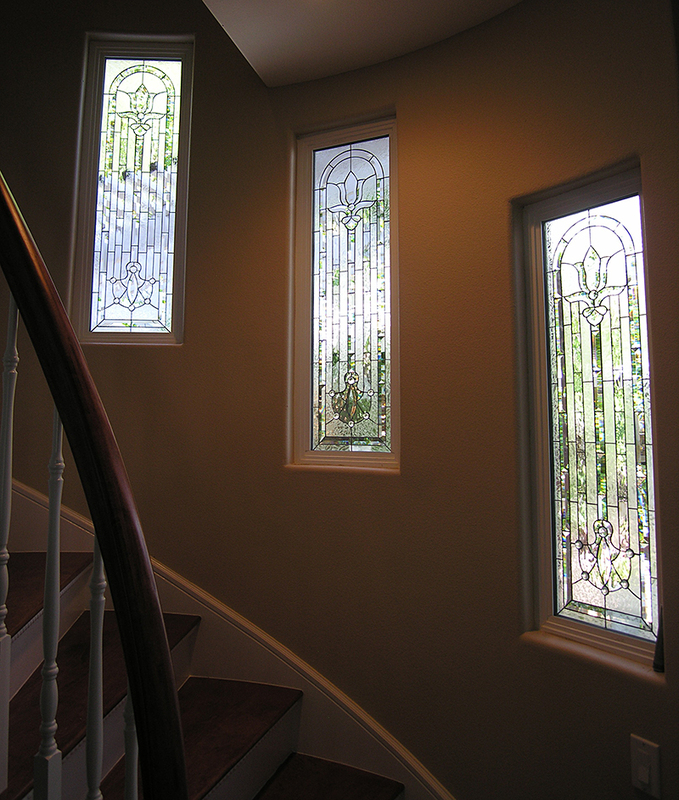 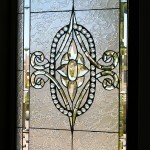 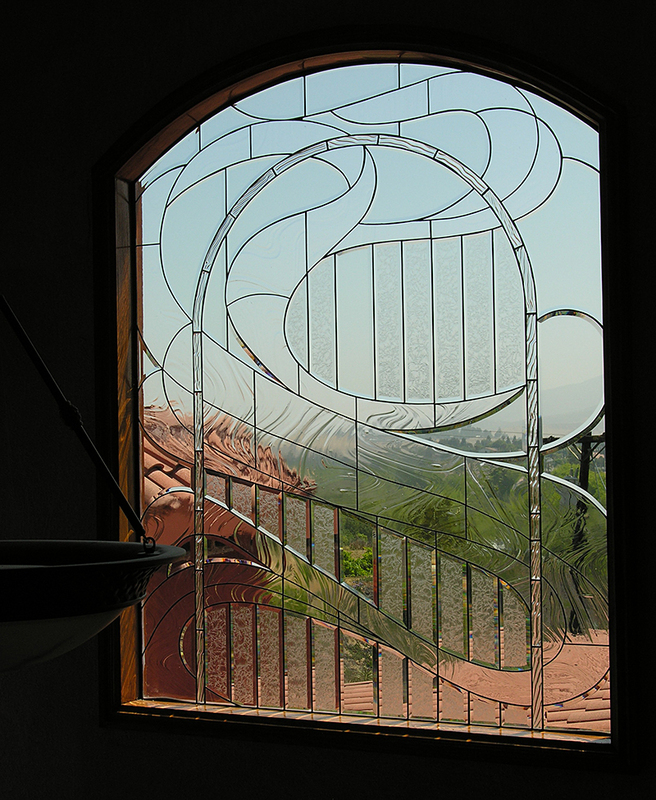 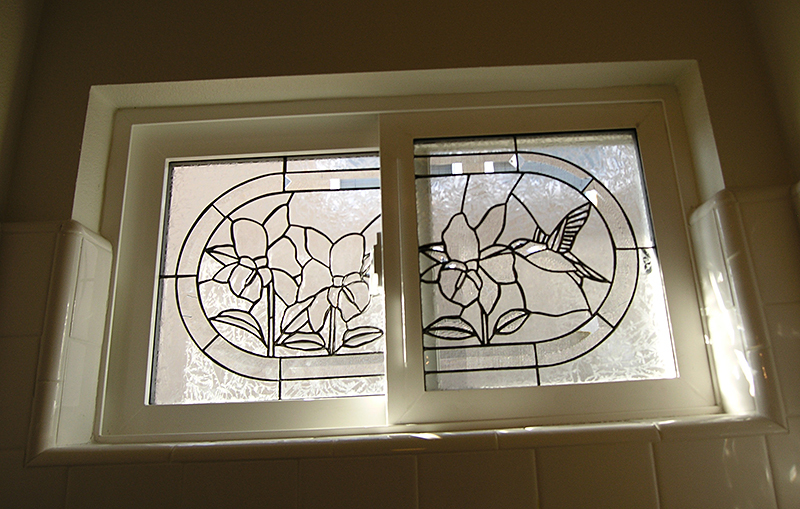 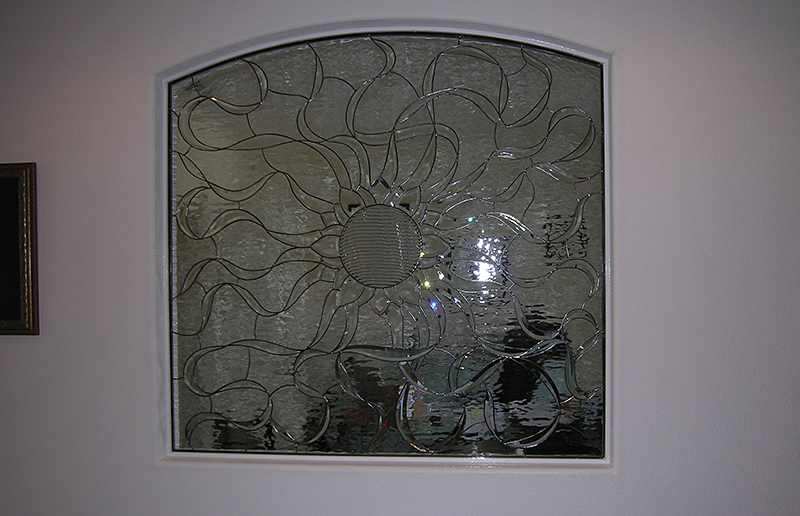 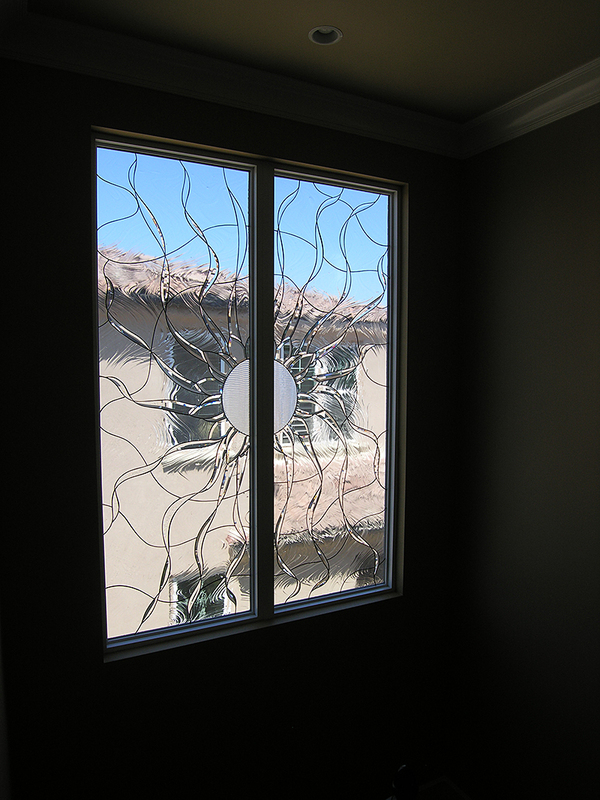 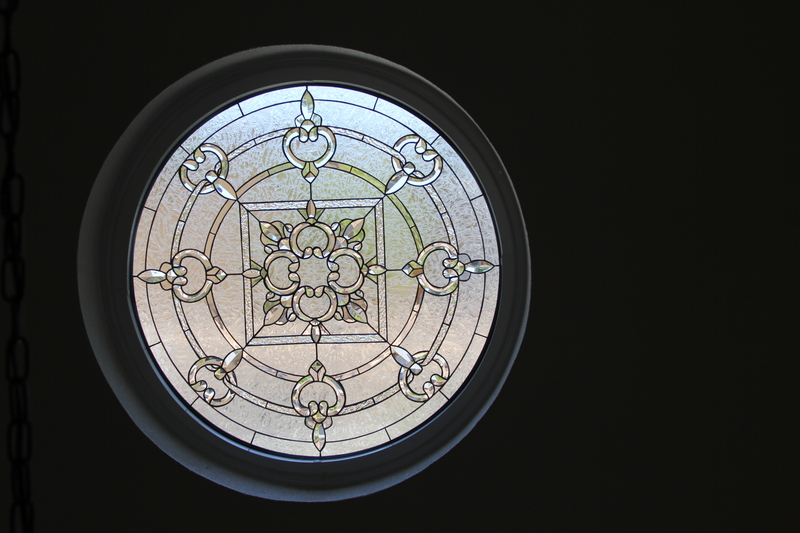 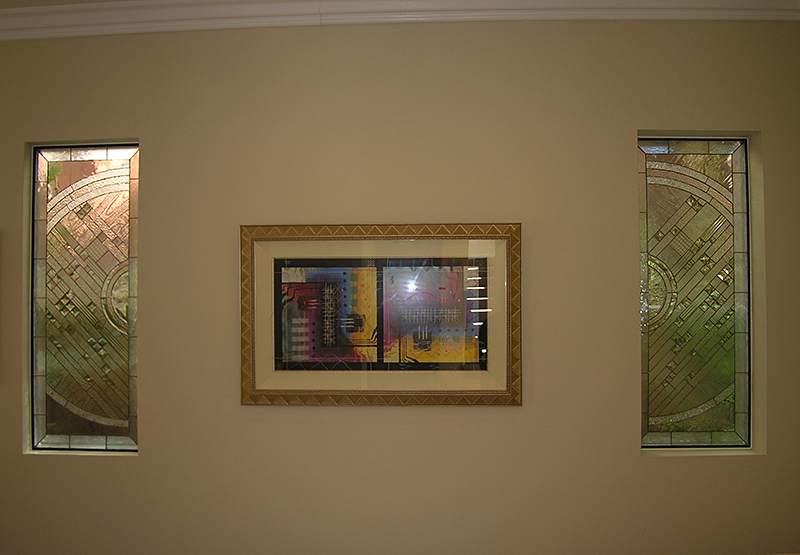 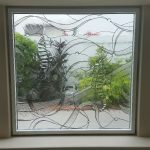 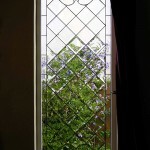 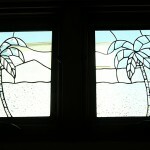 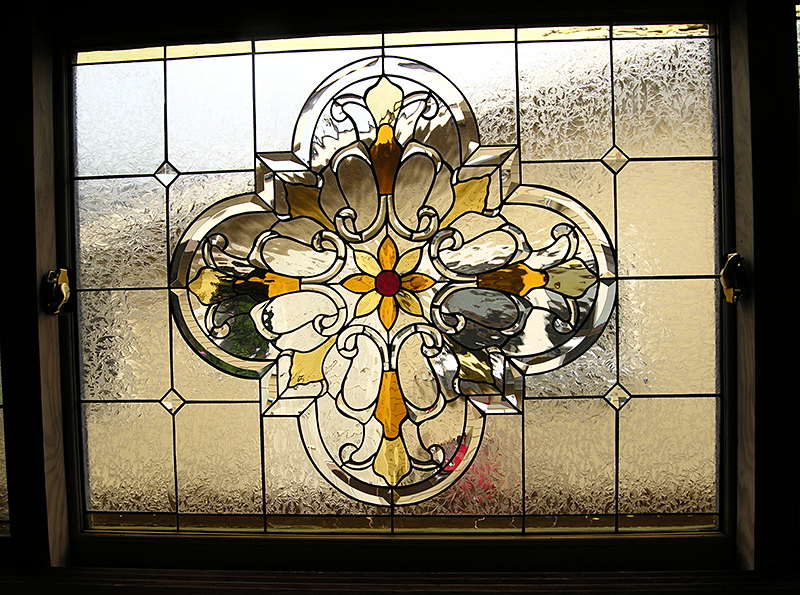 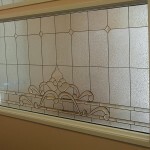 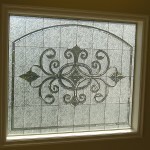 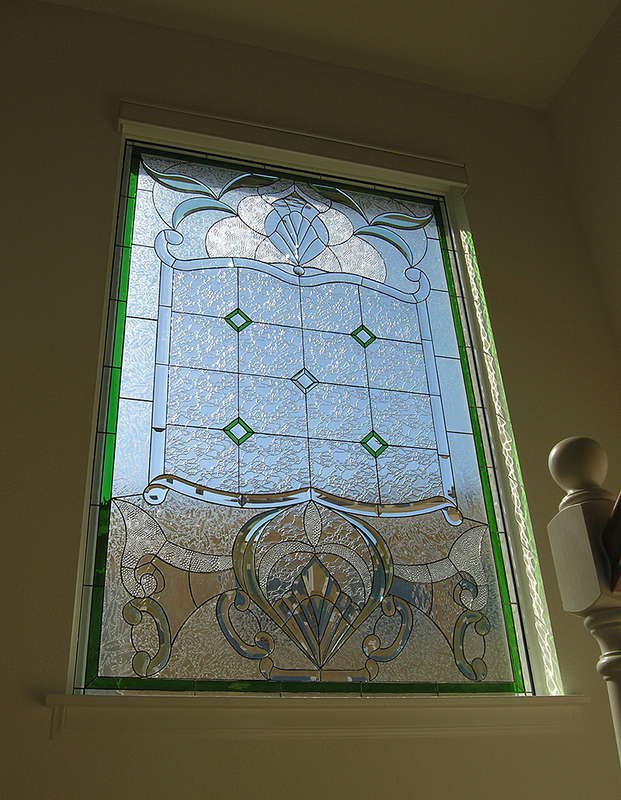 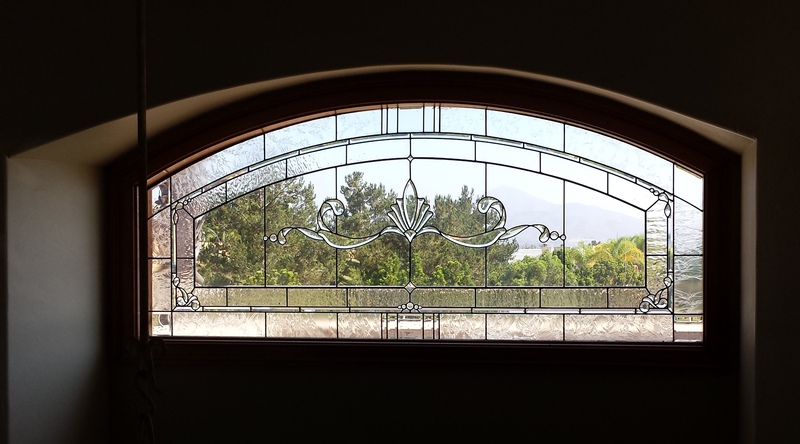 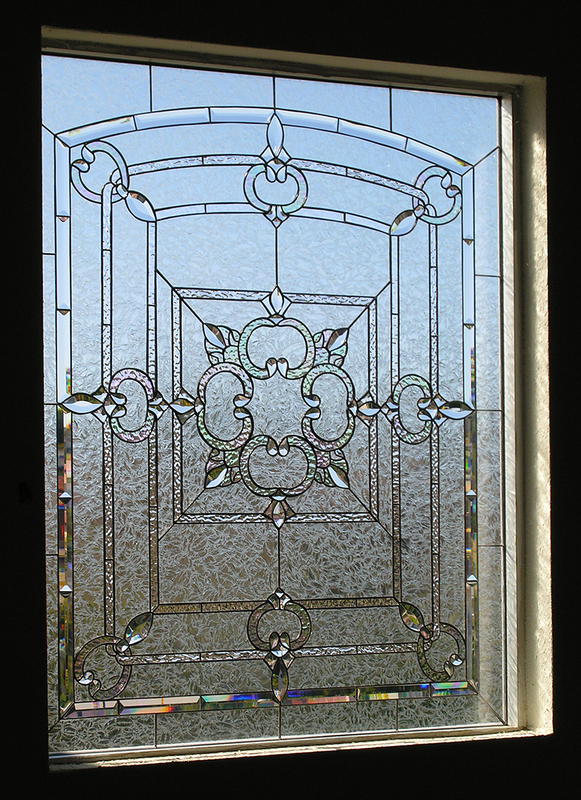 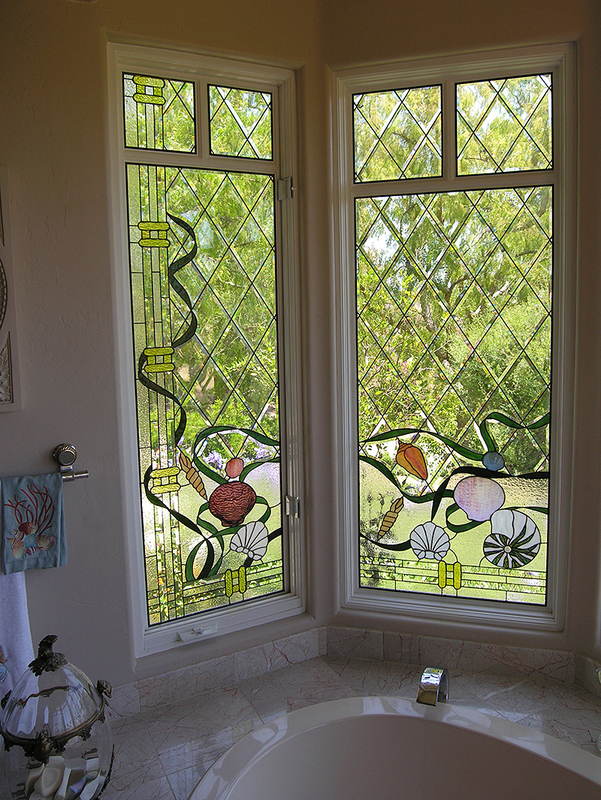 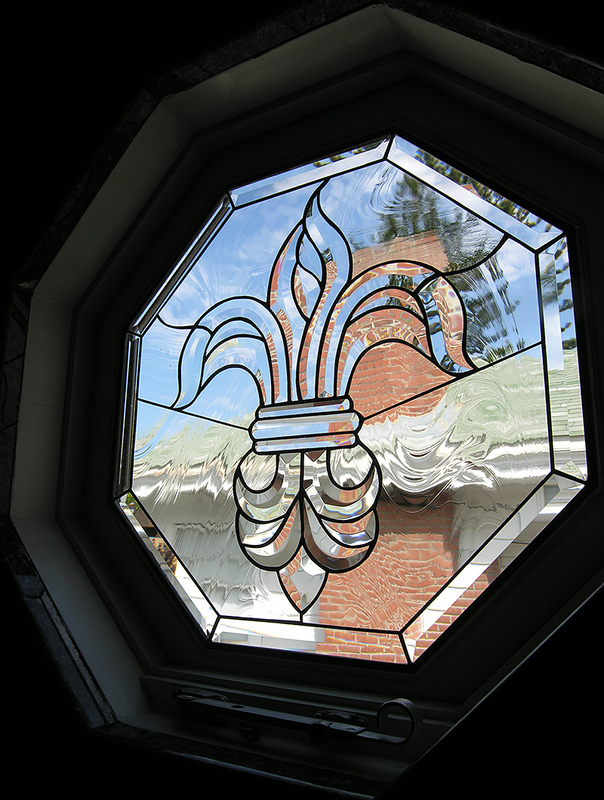 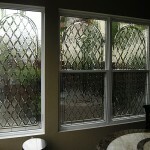 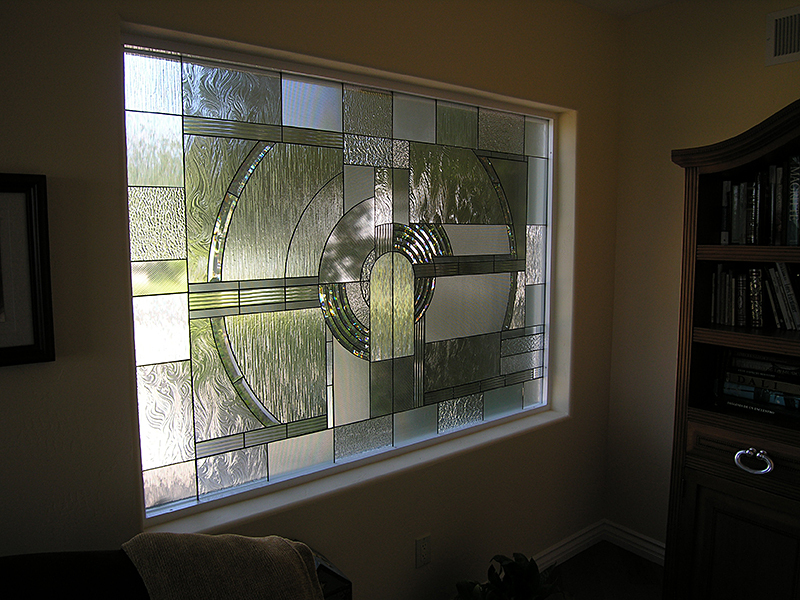 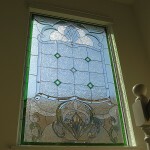 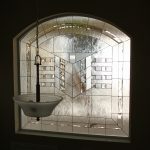 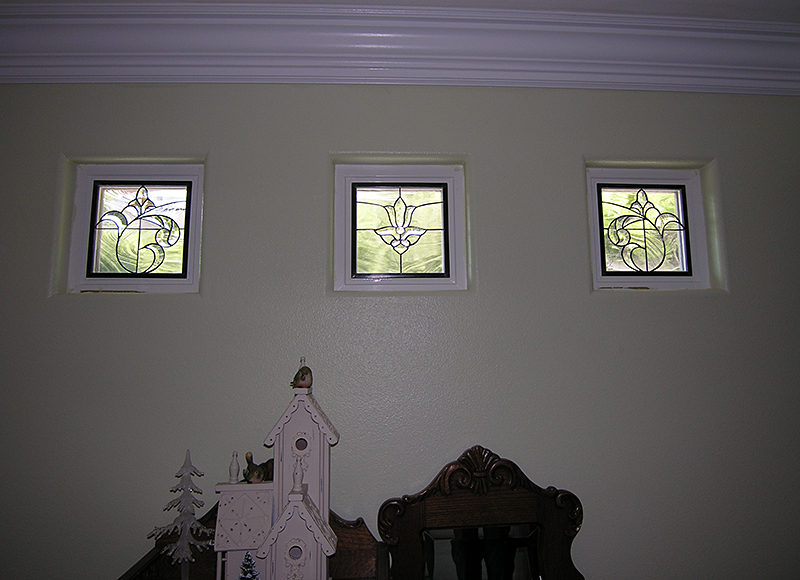 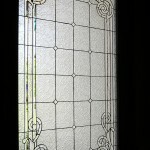 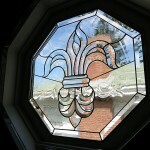 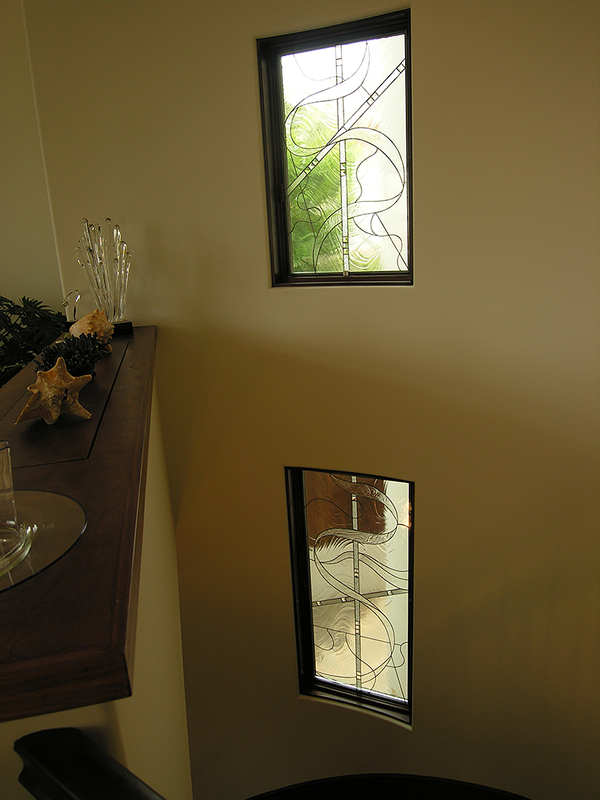 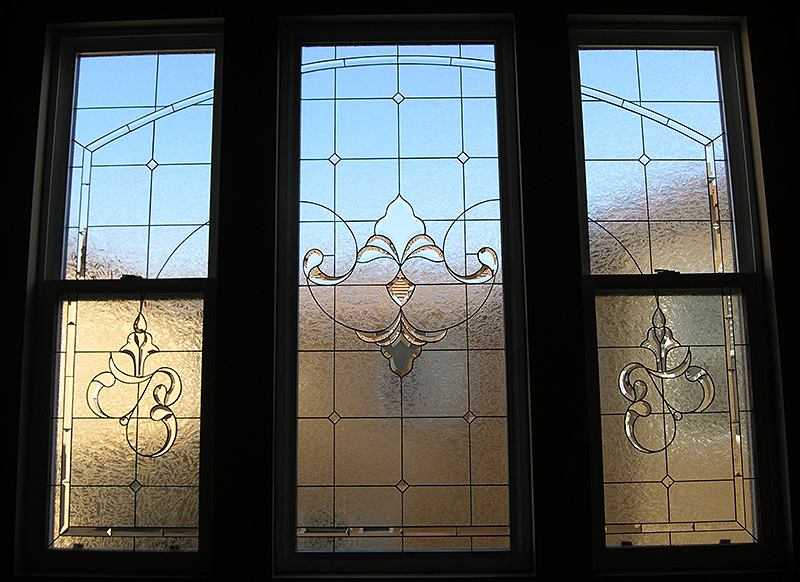 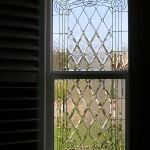 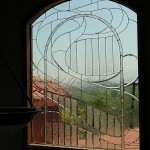 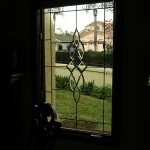 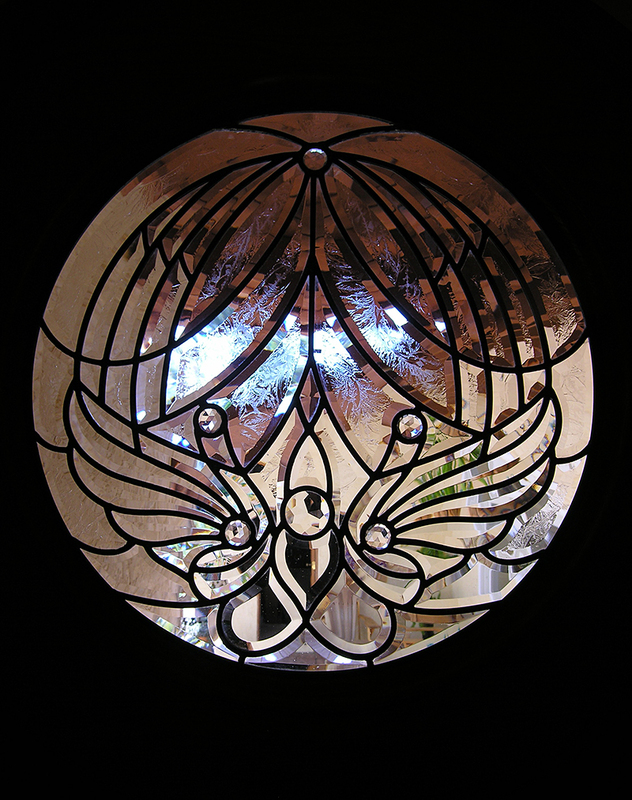 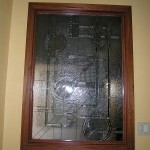 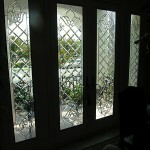 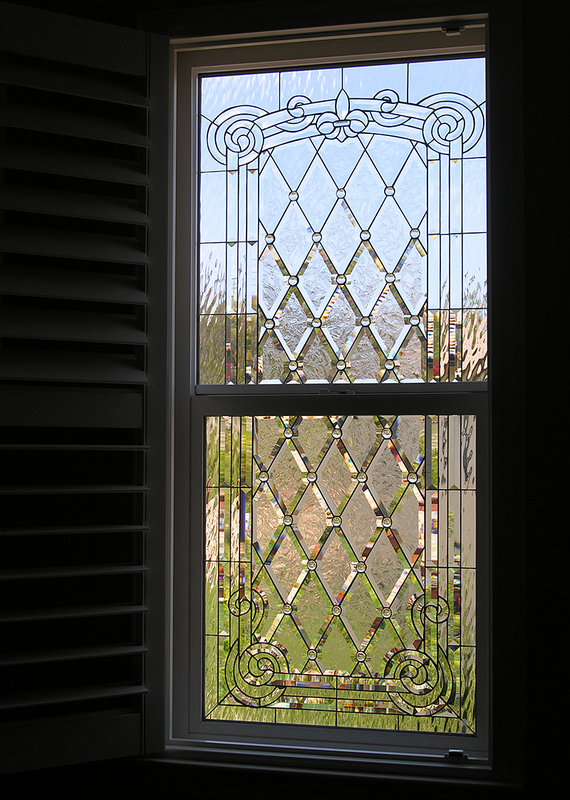 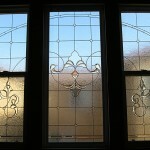 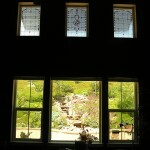 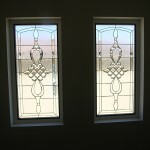 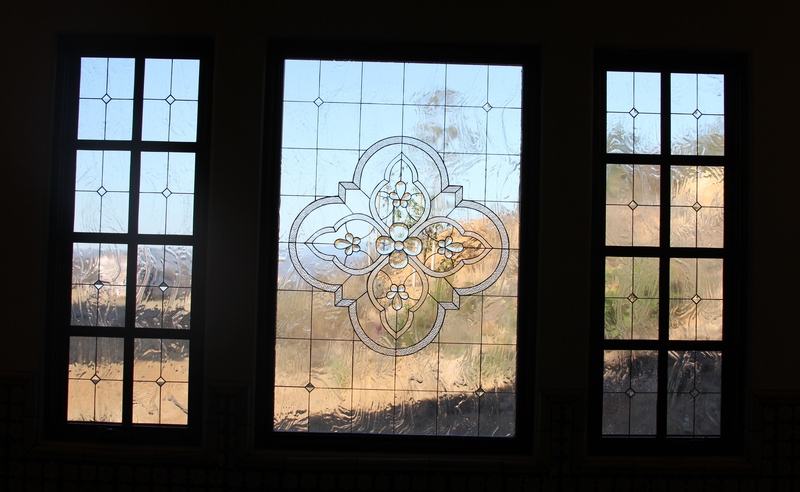 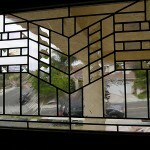 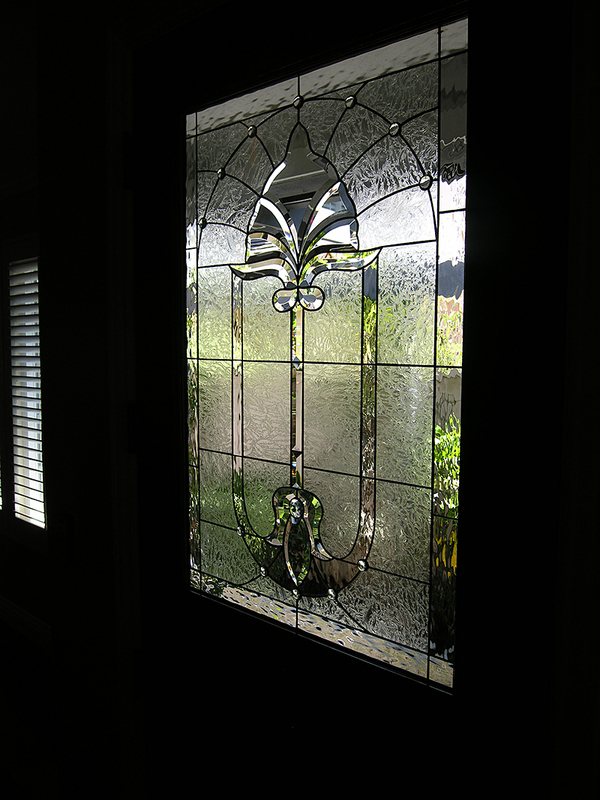 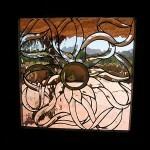 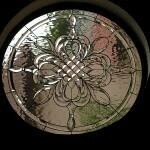 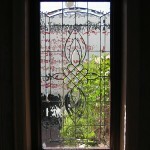 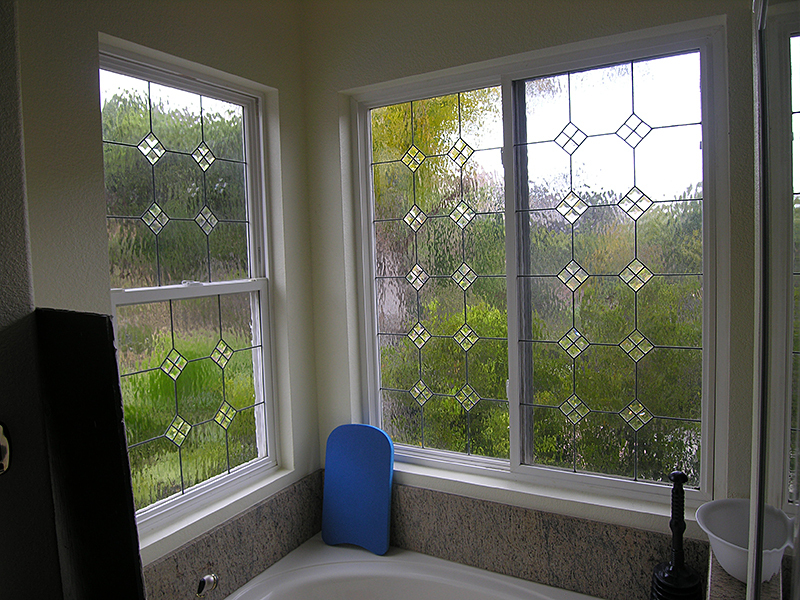 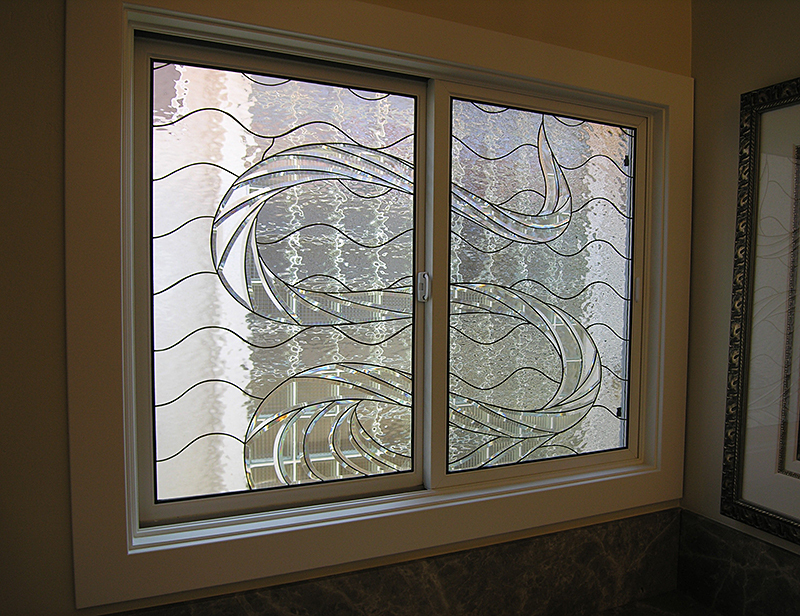 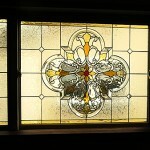 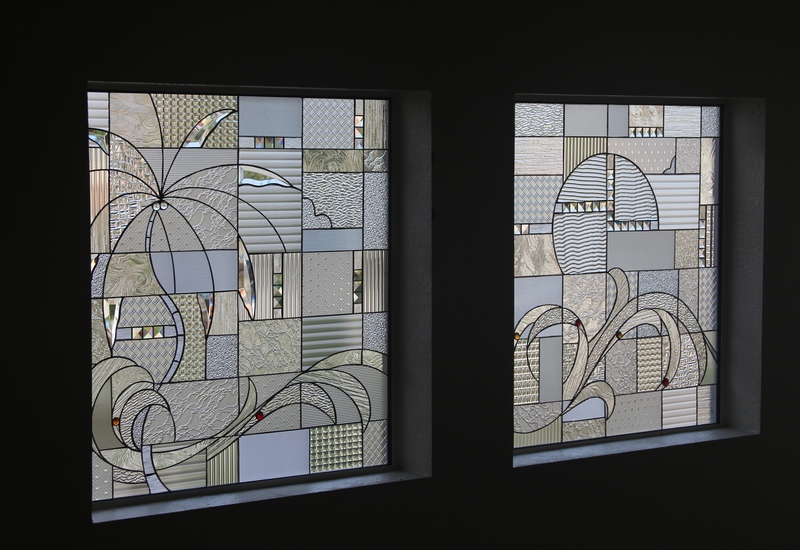 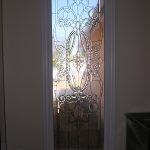 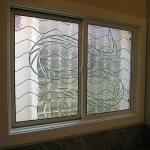 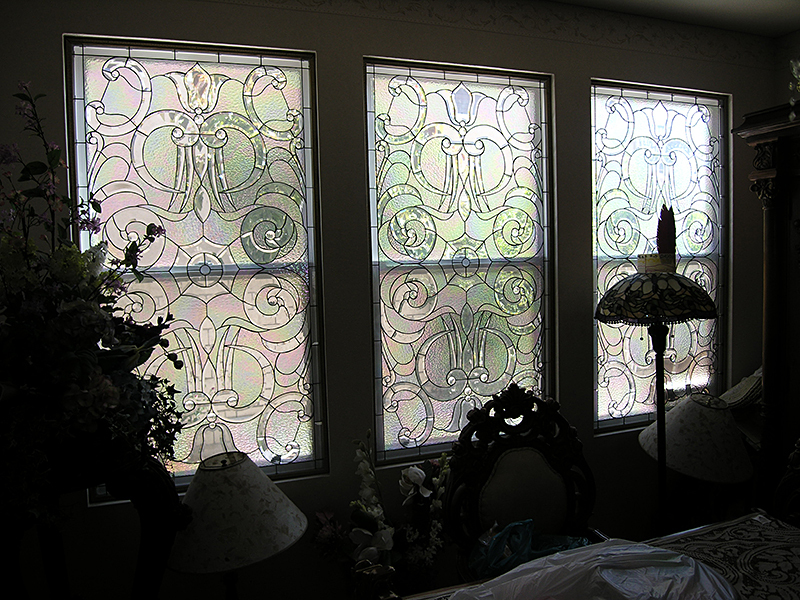 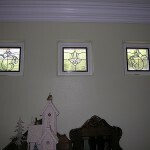 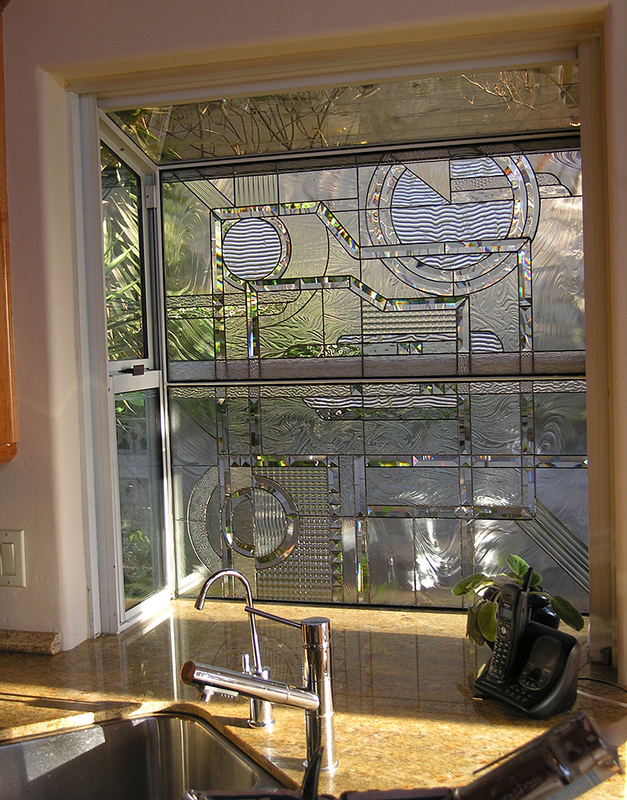 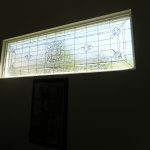 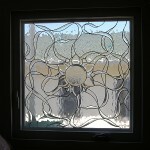 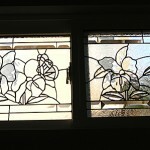 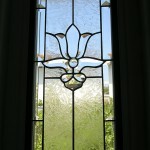 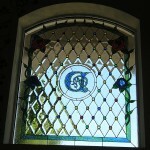 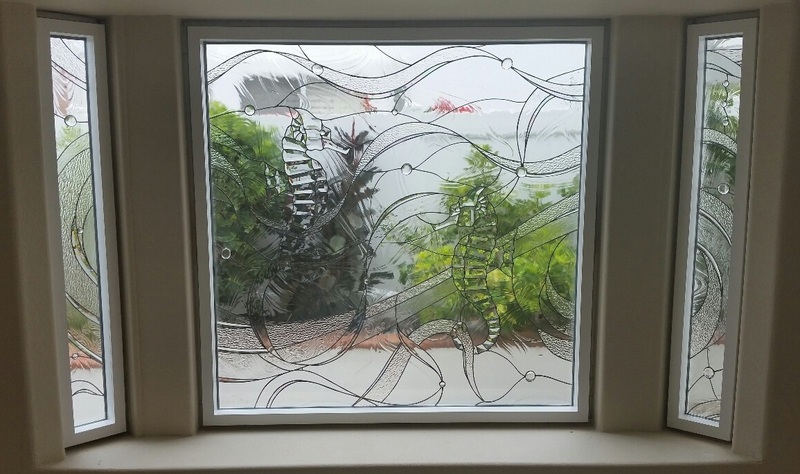 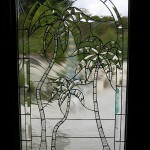 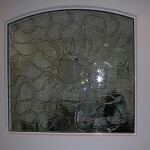 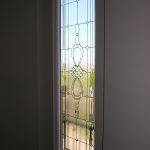 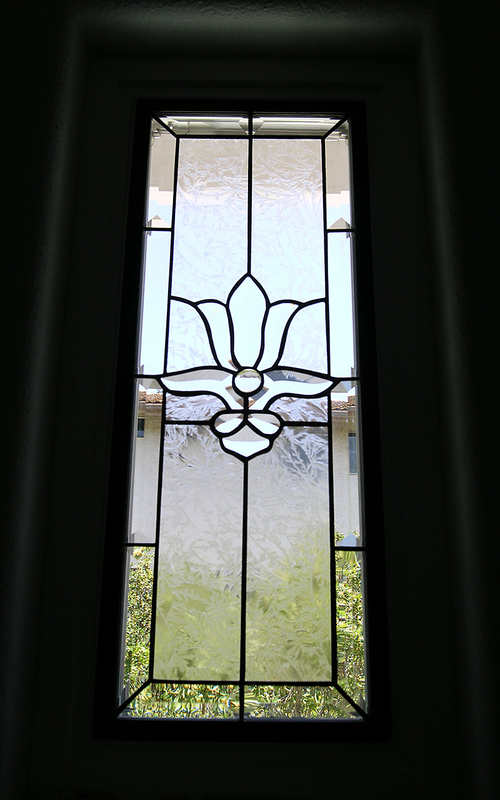 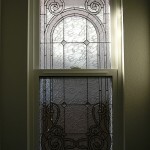 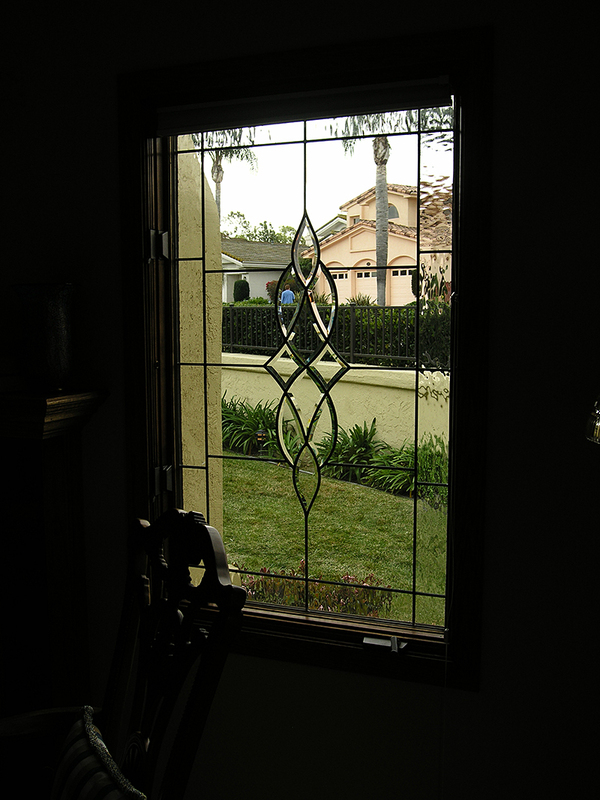 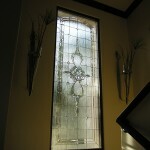 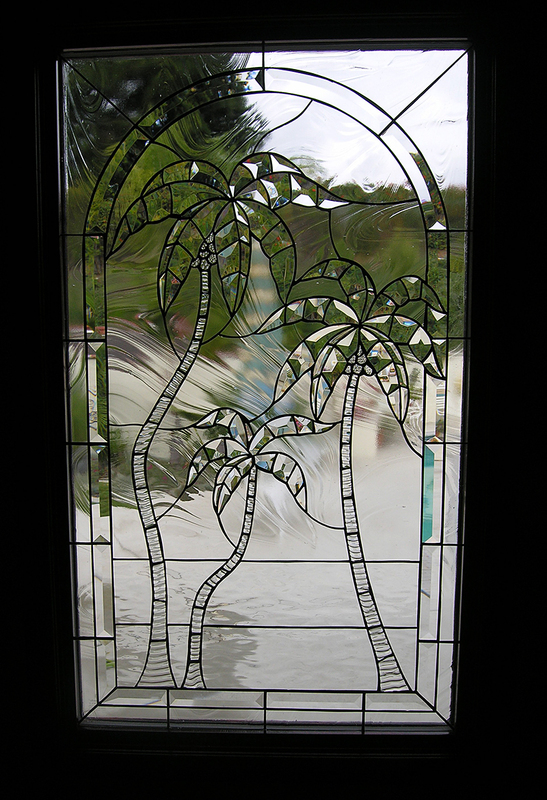 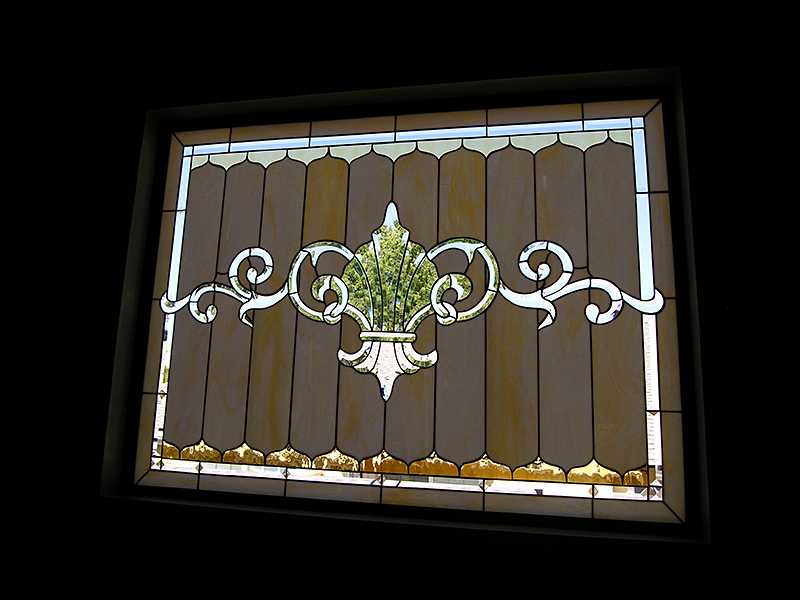 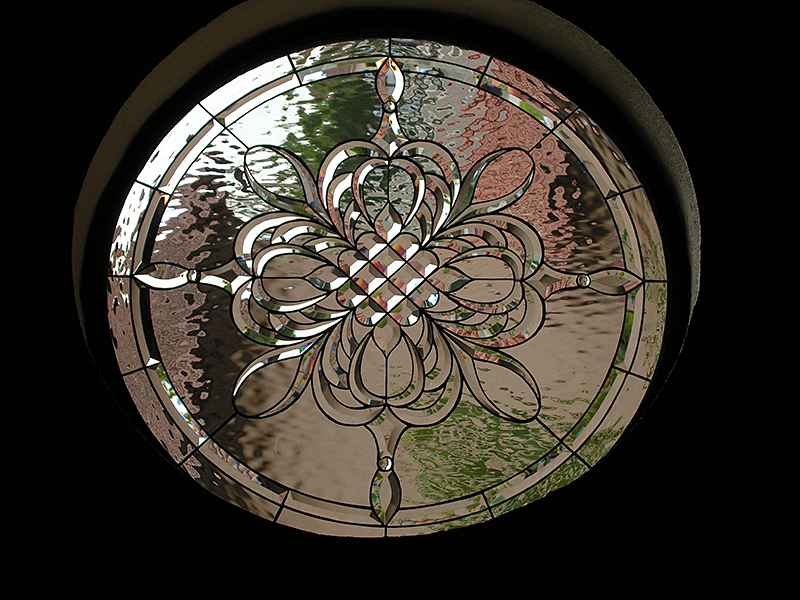 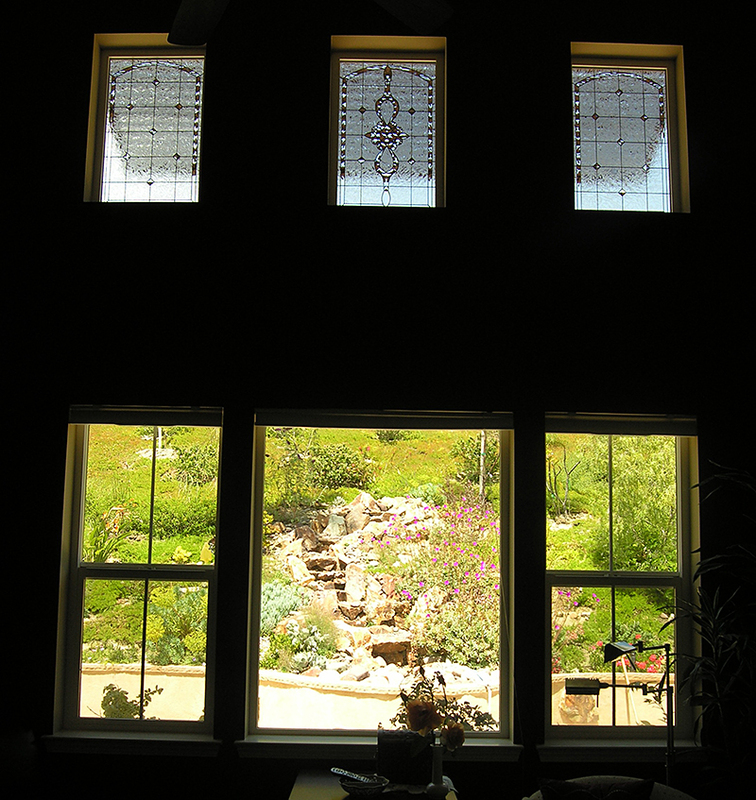 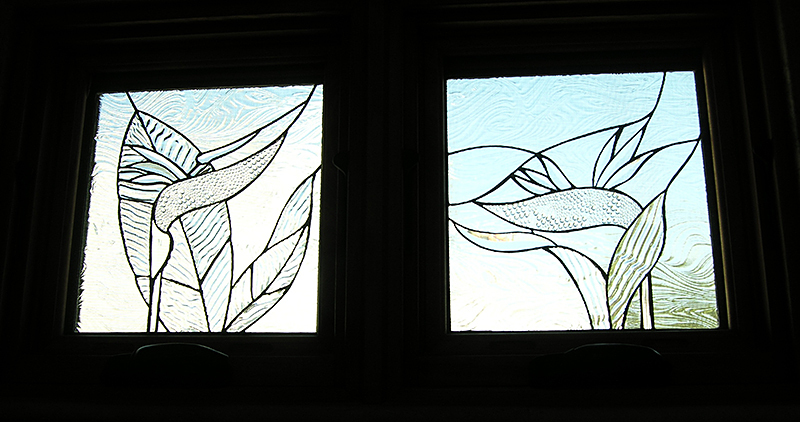 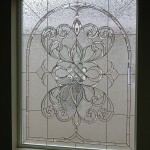 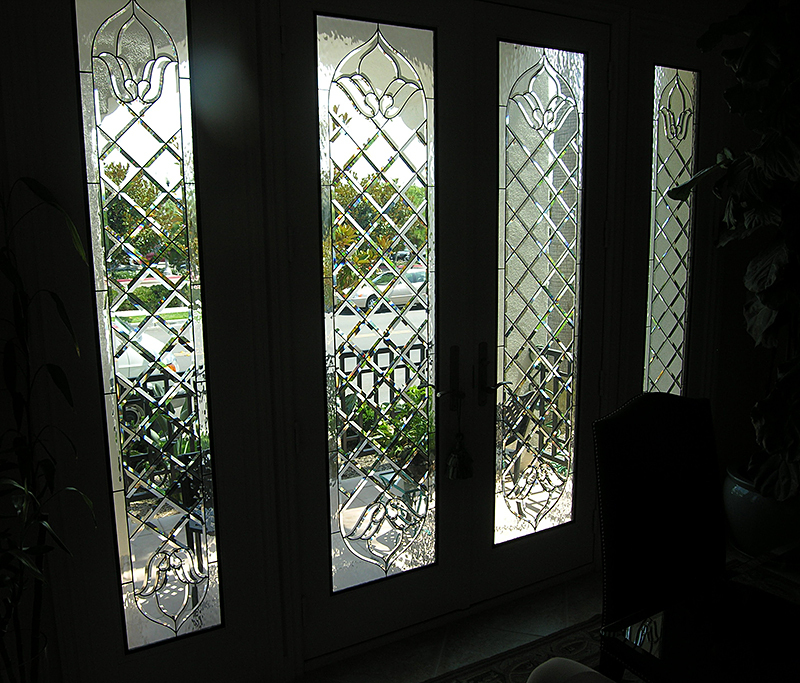 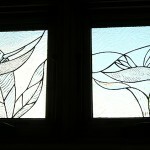 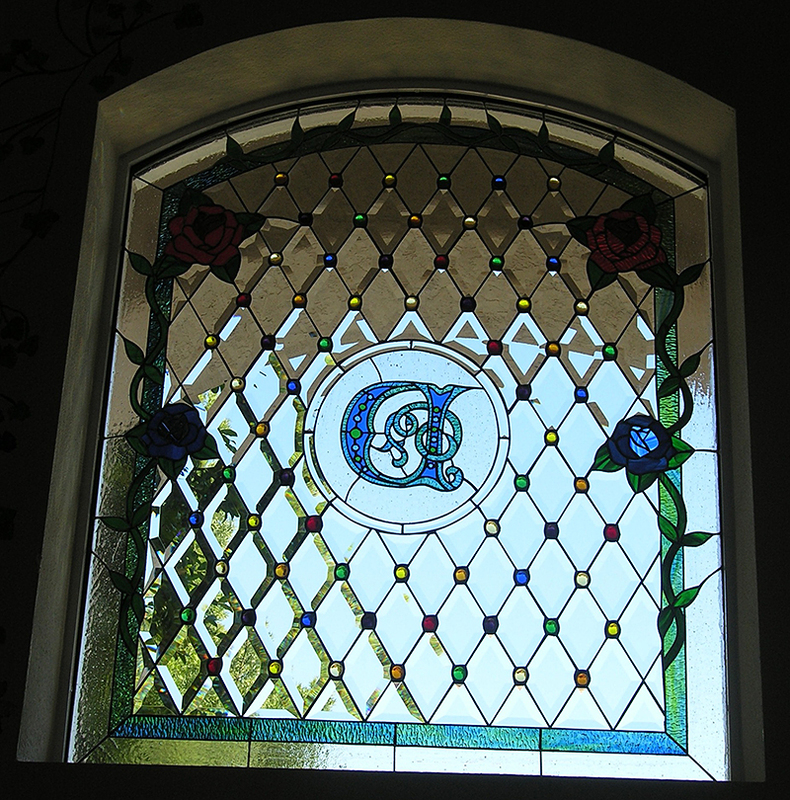 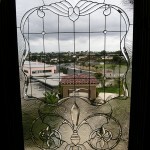 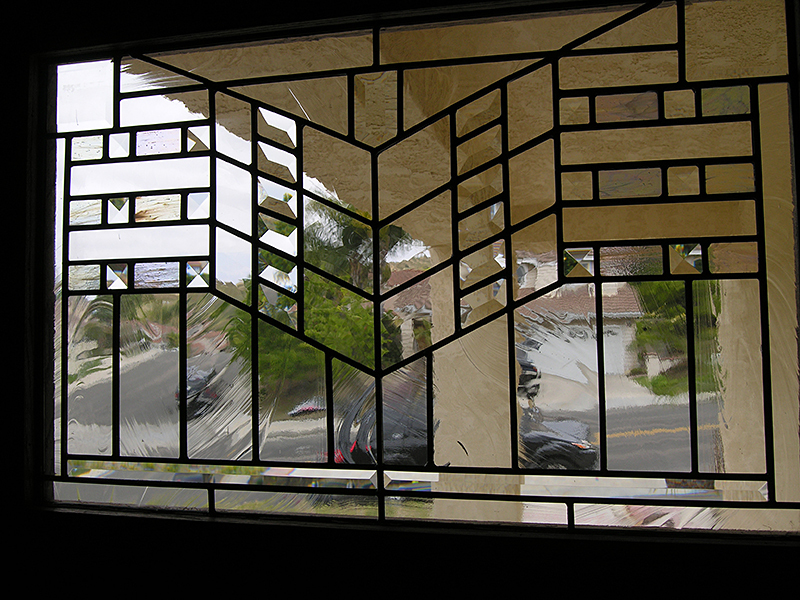 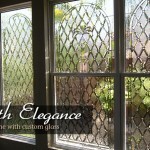 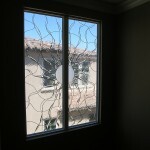 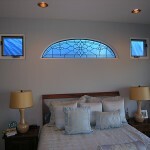 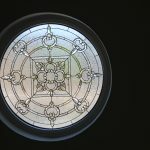 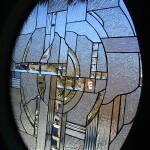 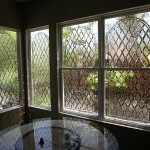 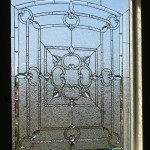 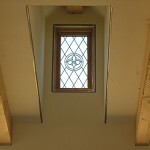 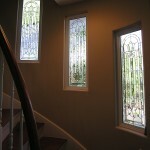 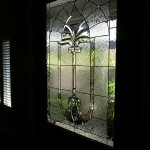 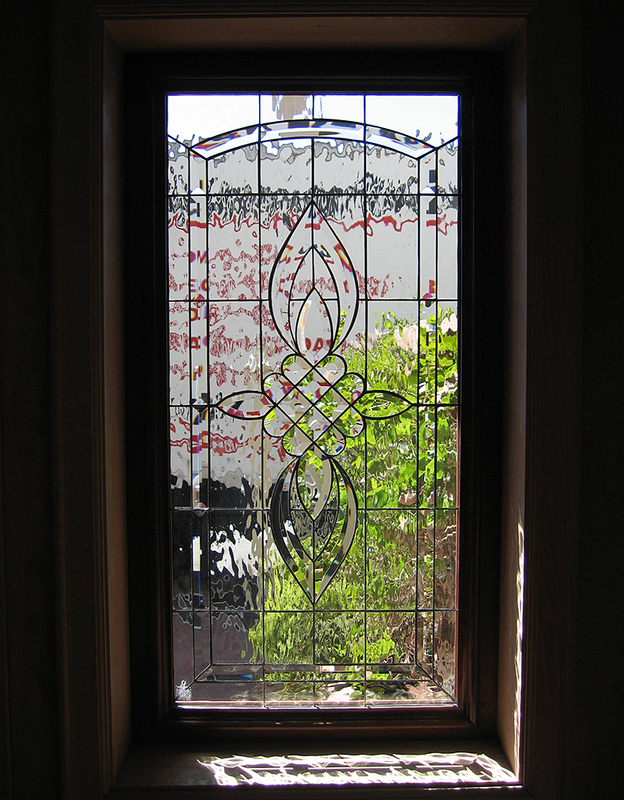 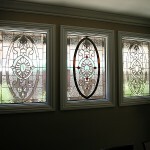 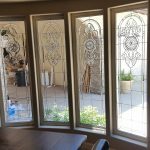 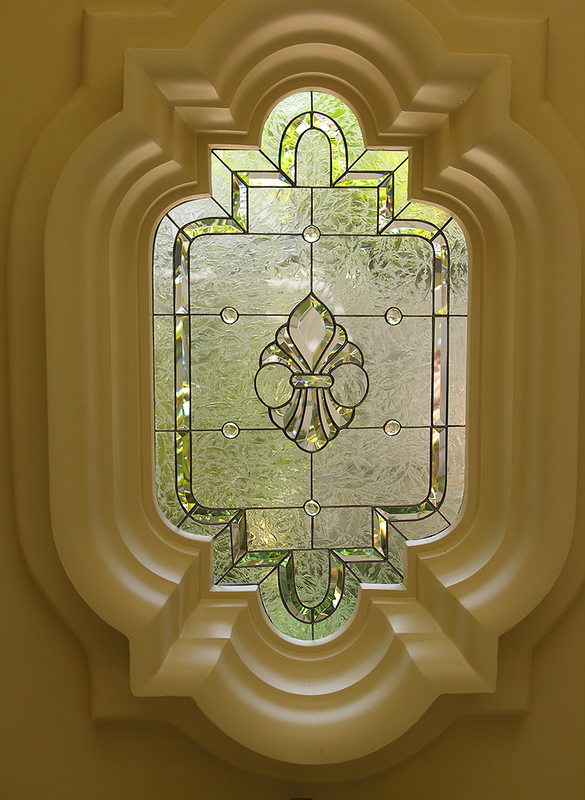 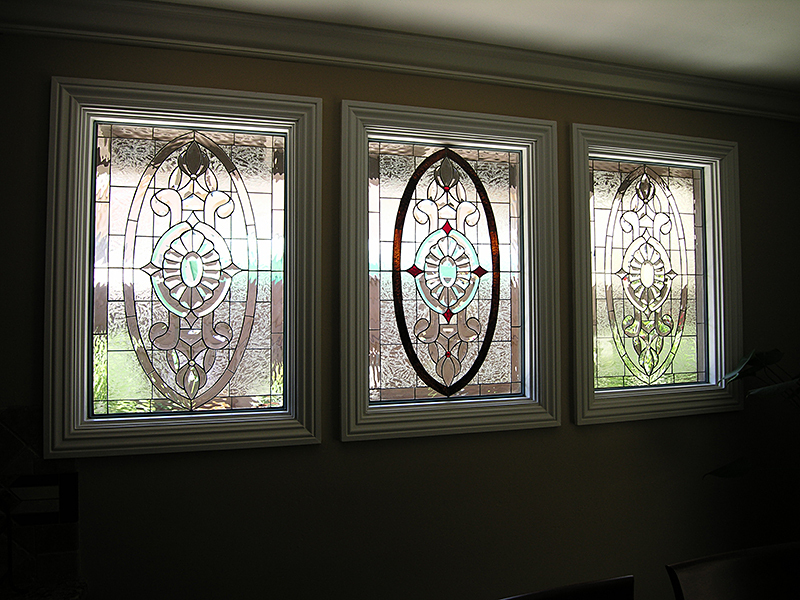 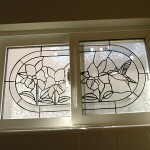 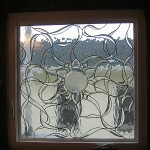 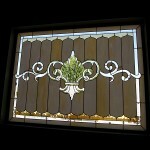 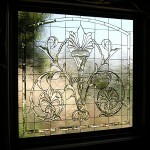 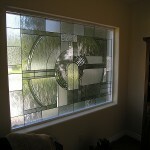 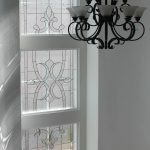 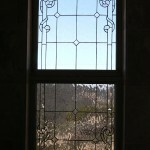 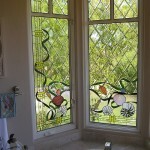 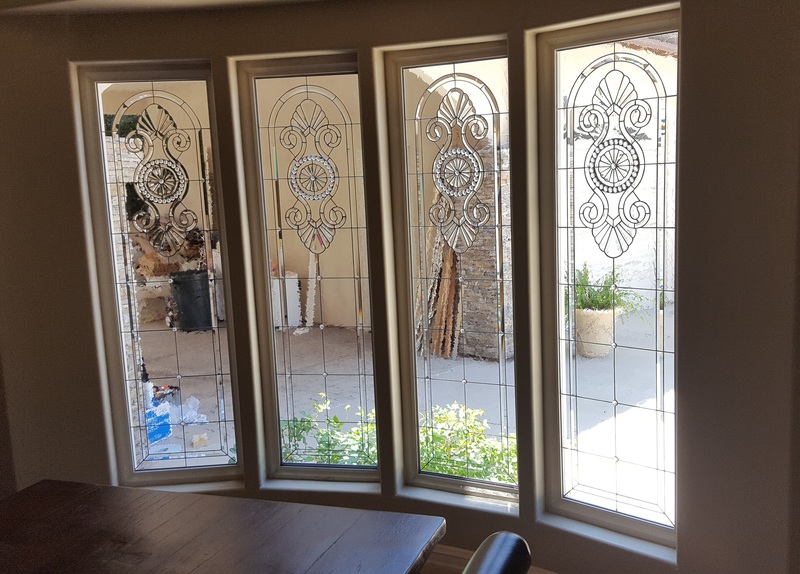 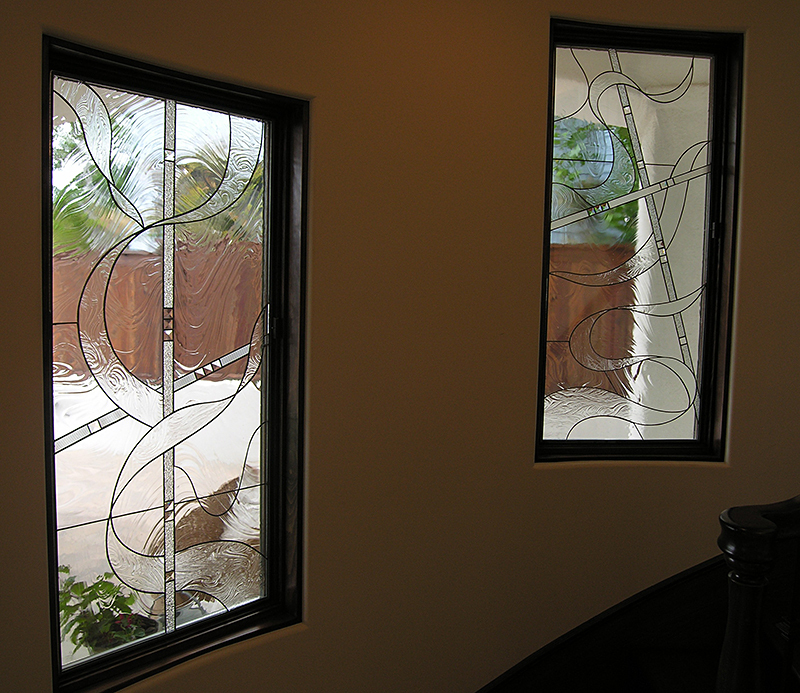 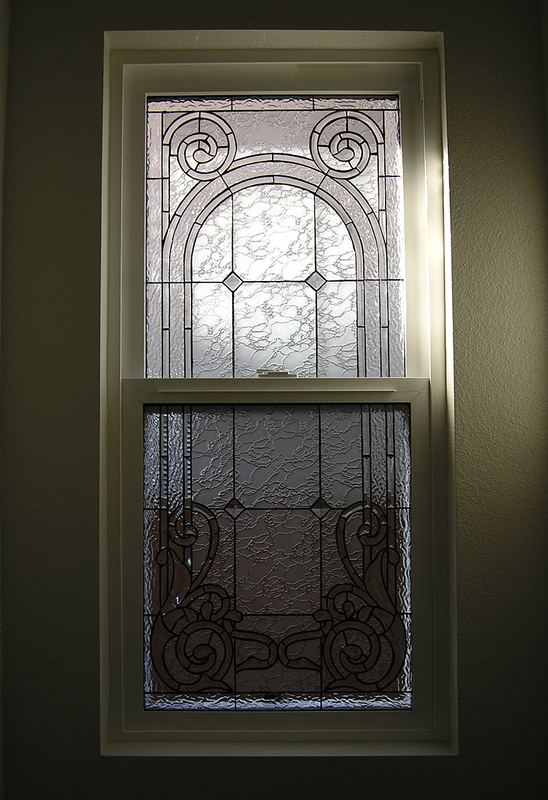 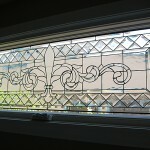 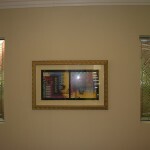 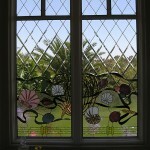 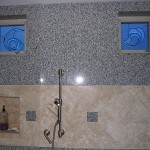 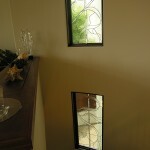 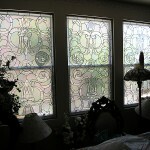 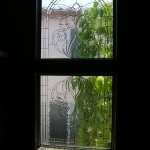 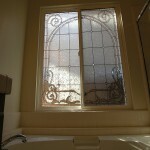 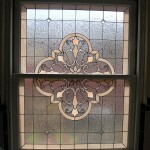 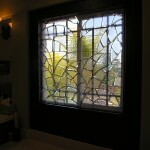 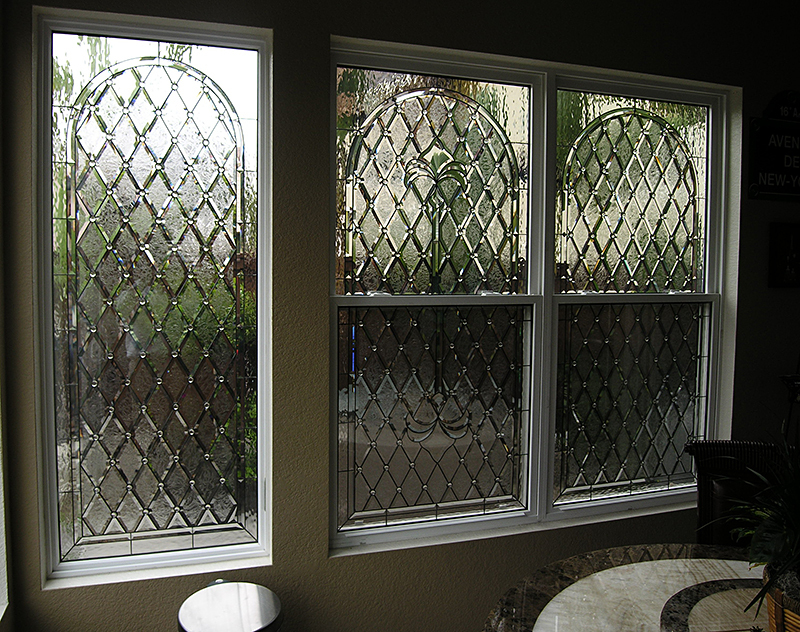 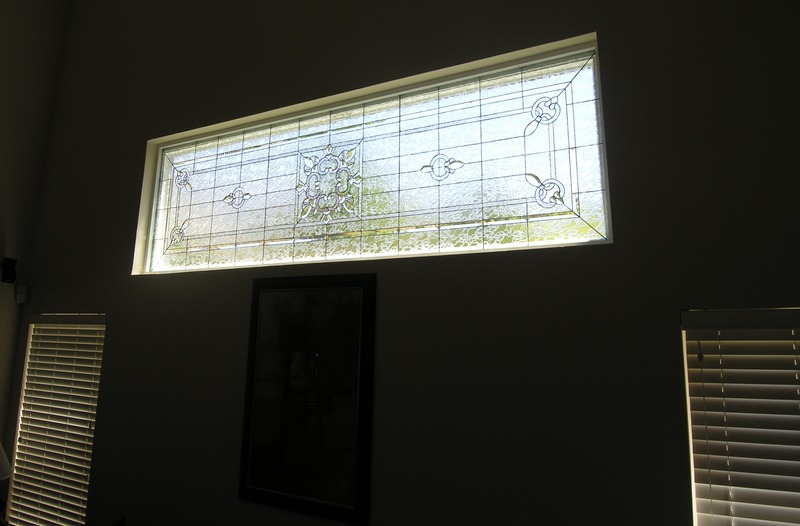 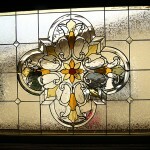 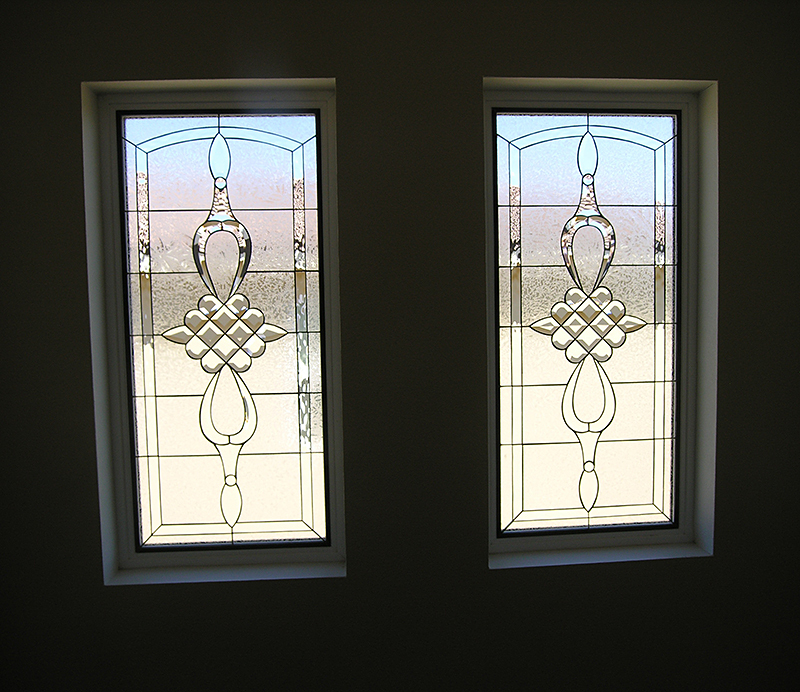 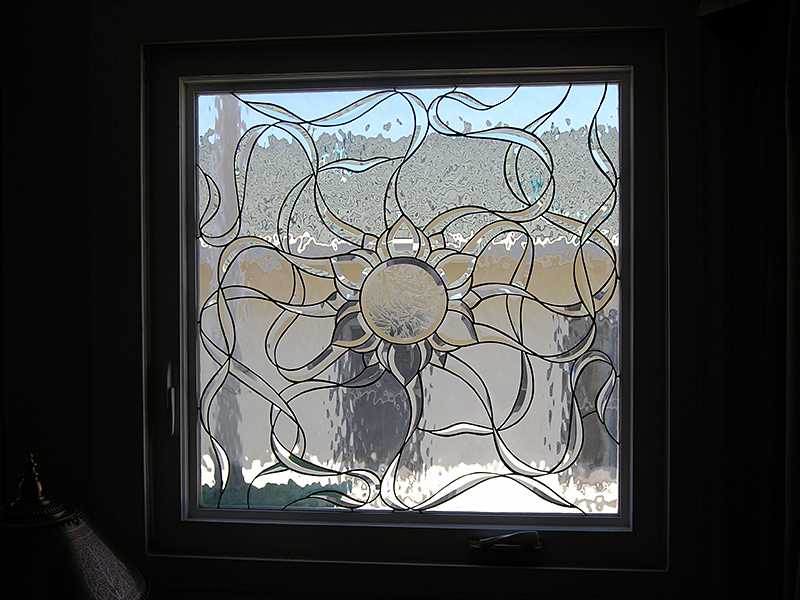 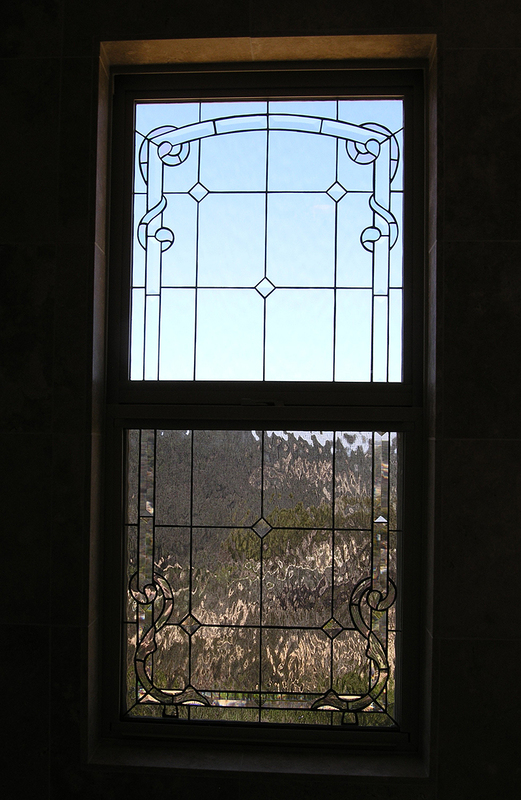 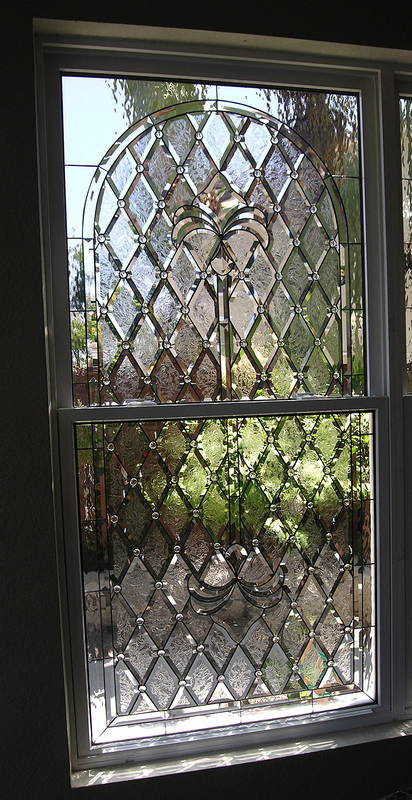 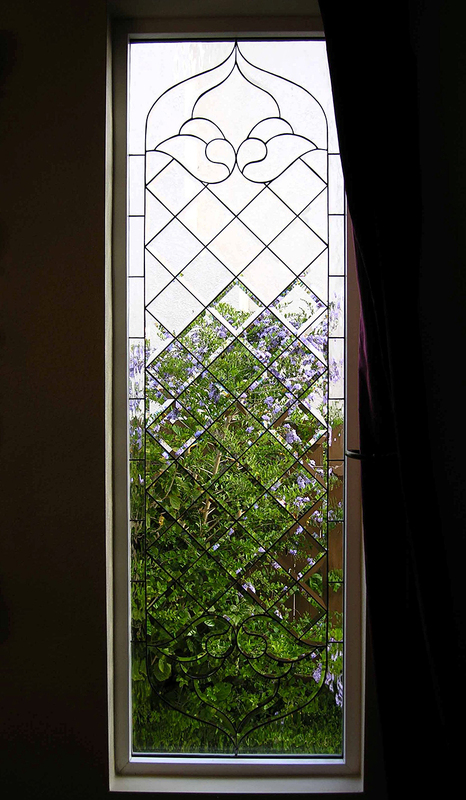 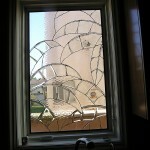 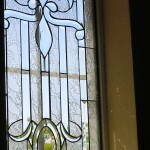 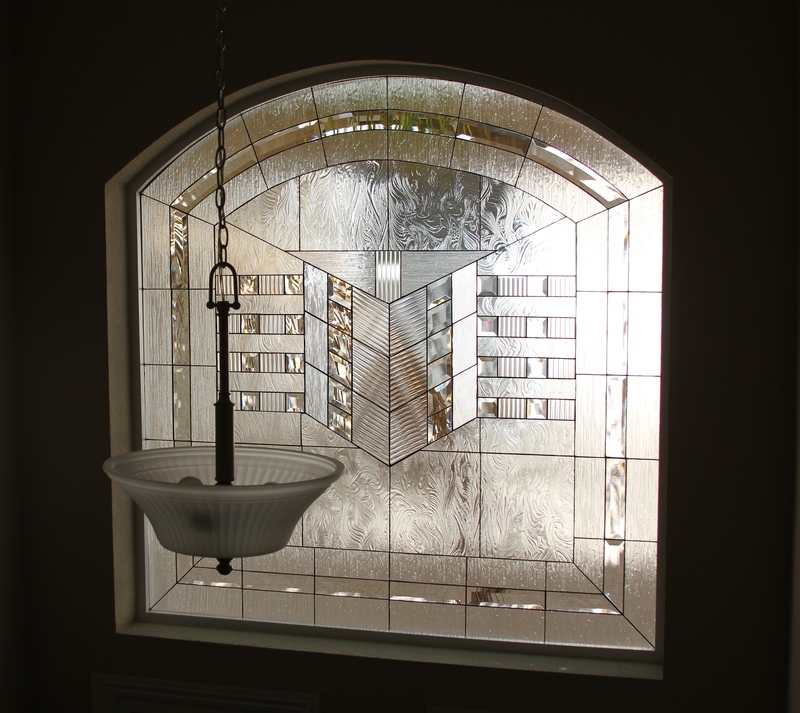 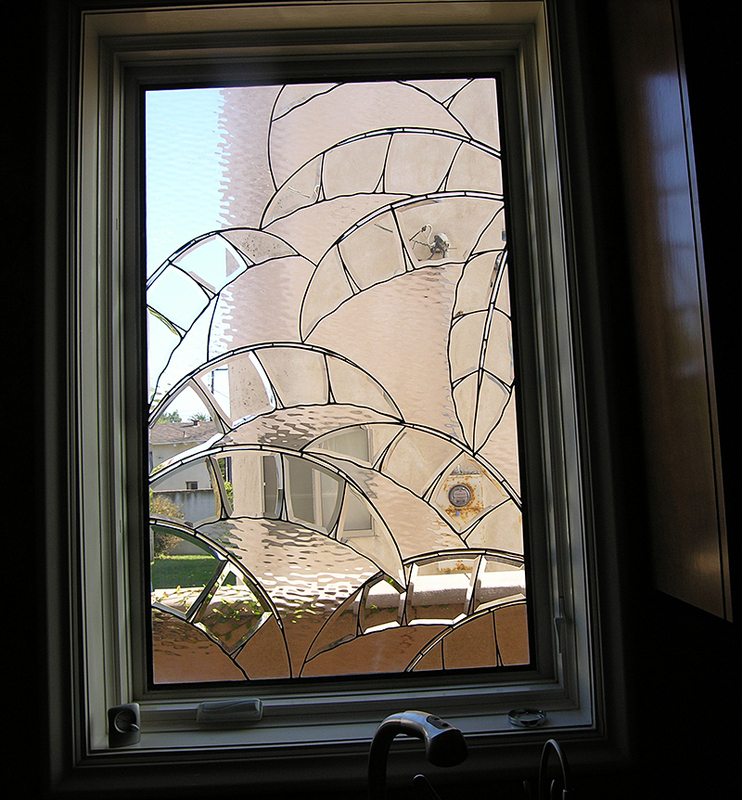 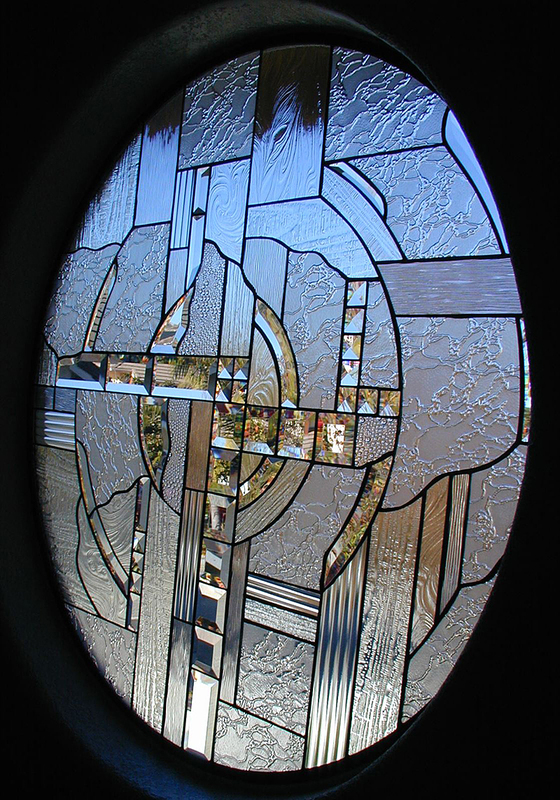 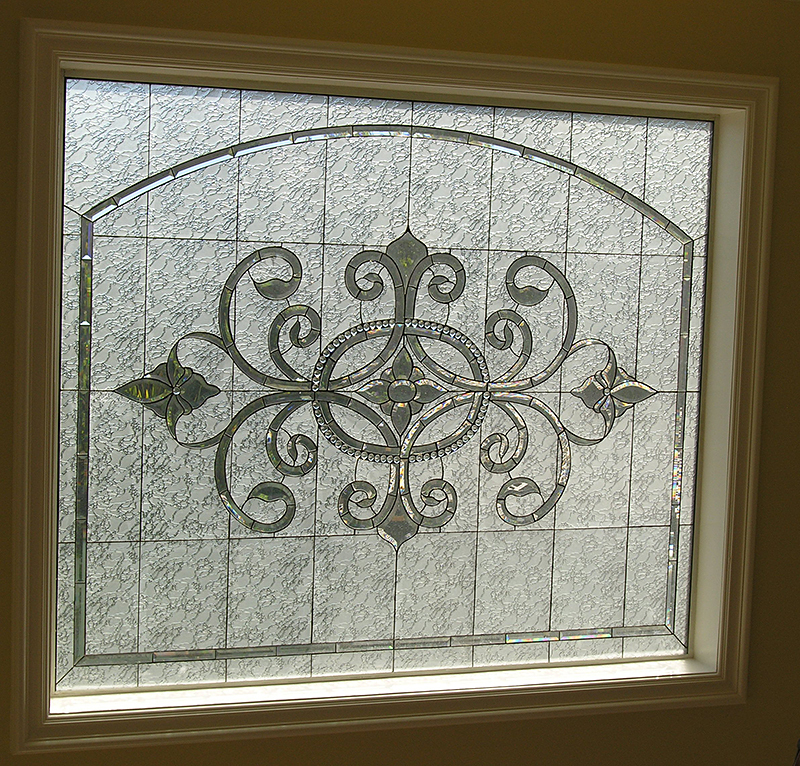 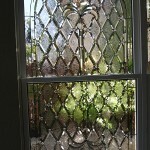 If you are interested in adding beveled glass to your home, contact us to set up an appointment.